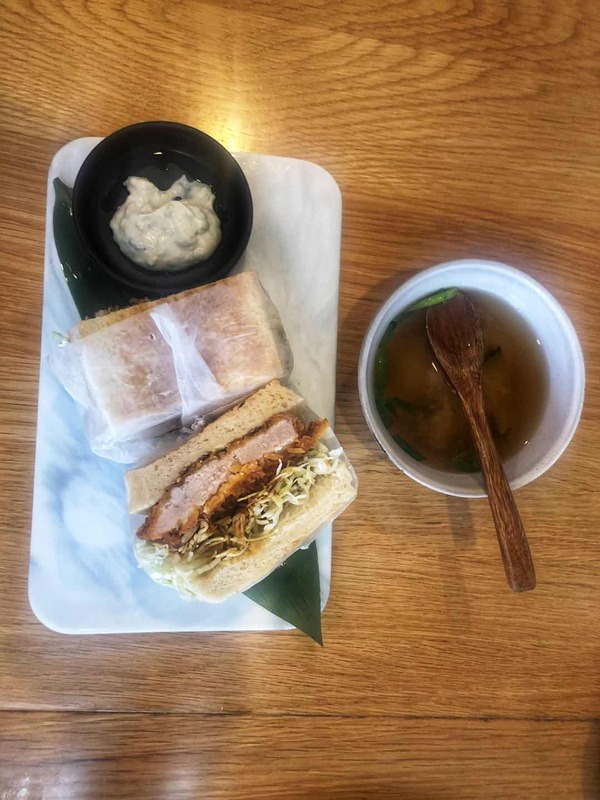 Located on Changle Road inside an office building doesn’t sound attractive until you step in and take a glance to the bar full of homemade jars of Japanese pickles, teas, fruits and so on. Basically it takes me back to that comfort food that my grandma could make, full of love. 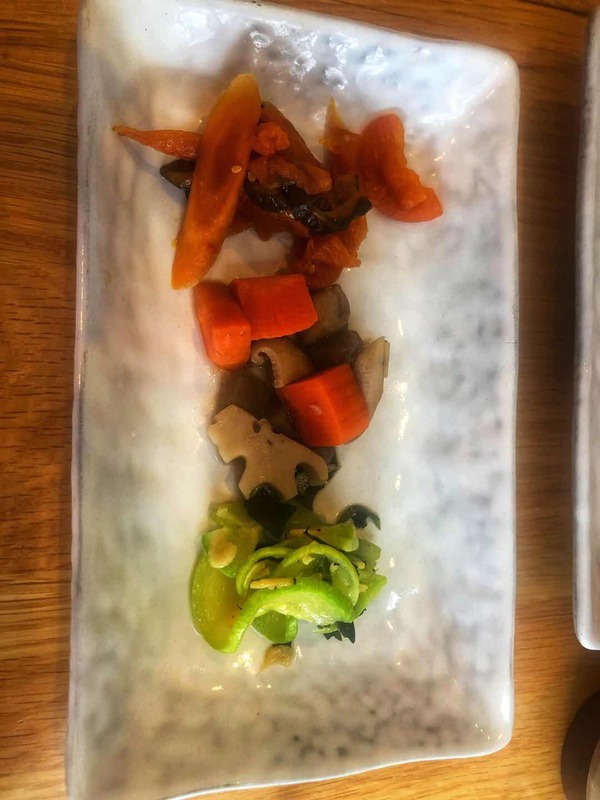 This place is one of my favorite modern Japanese because you will absolutely find culinary dedication and fine flavors all over the menu and the dishes. The menu covers a wide range of Japanese cuisine in a very delicate way: from Japanese sandwiches, Japanese hotpot, katsu don, donburi, omurice, tempura, udon, soba, to a lot more options to dig in. We were two and we had a huge variety to share. 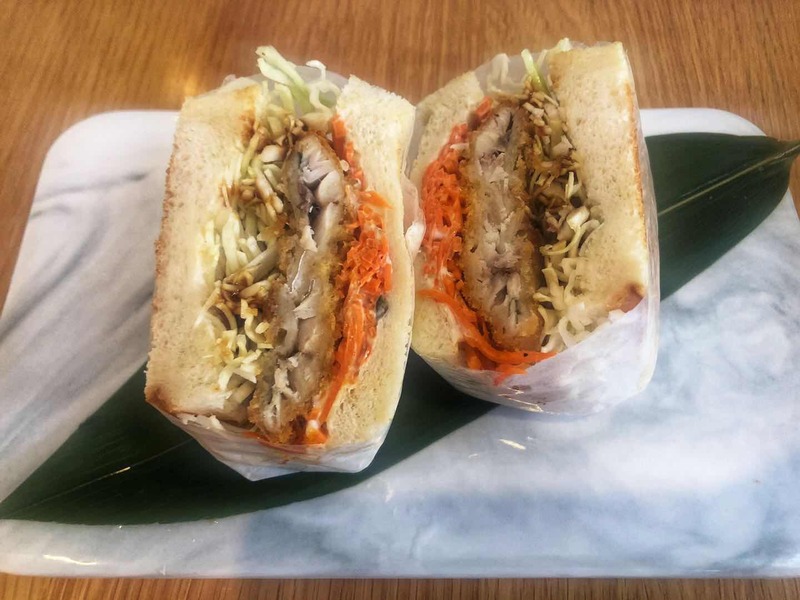 The best, in my opinion, were the mackerel sandwich -so delicious that I could have a dozen easily-, the waygu beef curry udon –out of this world- and the fried chicken with a chilly sauce. Quiet vibe, friendly environment and decent prices will invite you to come back. If you are looking for a delicate meal and you really like Japanese food, then this is the place to visit for sure. 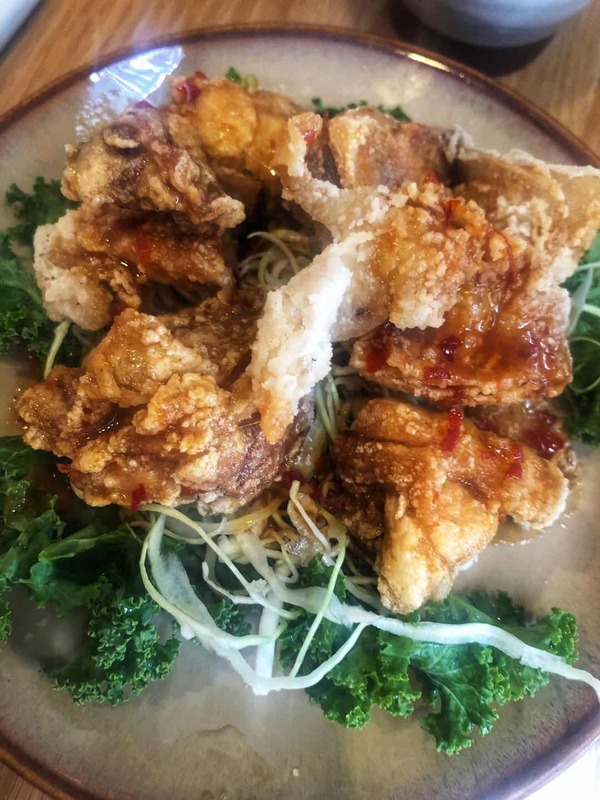 Searching for a “laowai-friendly” place to have some good dumplings? 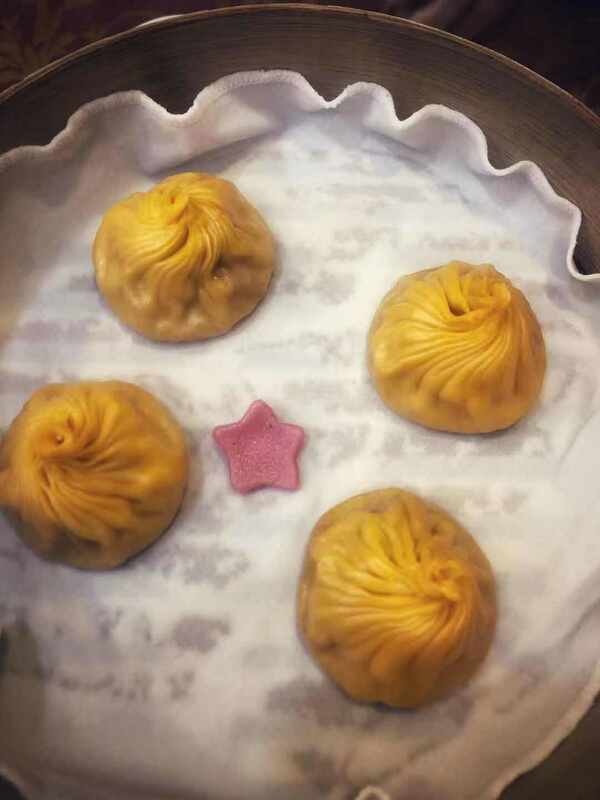 Well, Maggie Chan´s Shanghai Dumplings (Jiang Rong Xin) offers an acceptable version of xiao long bao where you can relax and also enjoy the Chinese atmosphere surrounding you. Why is that? 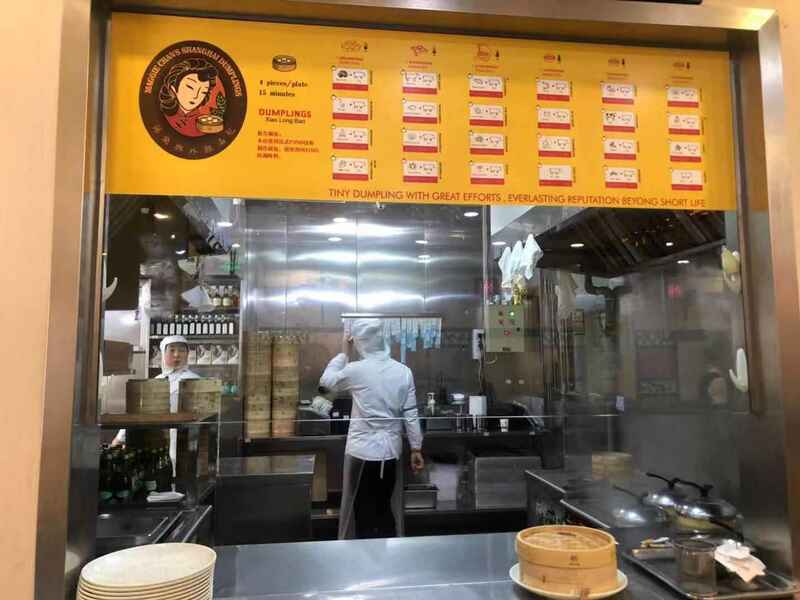 They have an open and clean kitchen to see the cooking process, the menu is in English, the staff is helpful and they have “international” versions of dumplings. 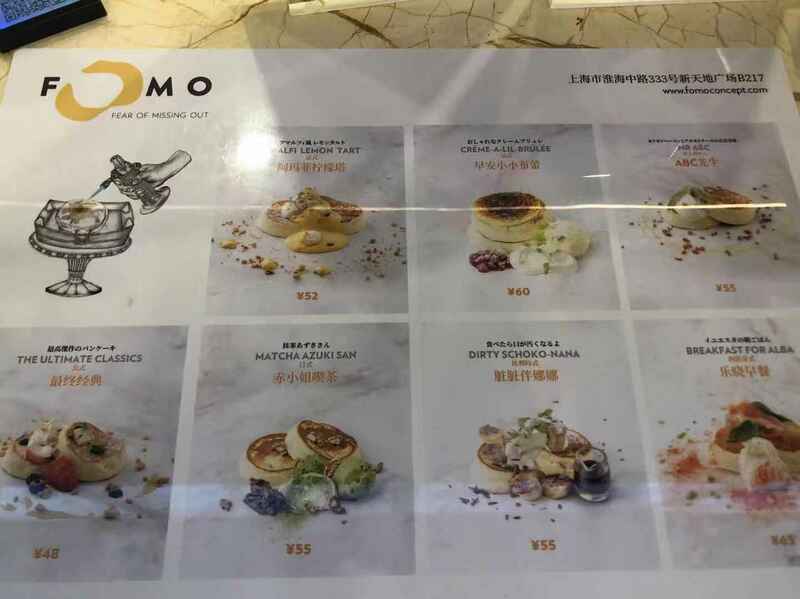 That means they offer "off-the-mainstream dumplings", a sorto of non-traditional ones, for example: foie gras, waygu beef and pork, saffron and pork, peanut butter and pork, even a colorful selection for the moments posts -and many others (worth to explore the “International Style menu”). Of course slightly pricier than the less fancy ones and they are located close to The Bund. Went for lunch and decided –first- to try the traditional ones: pork, shrimp and salted egg. 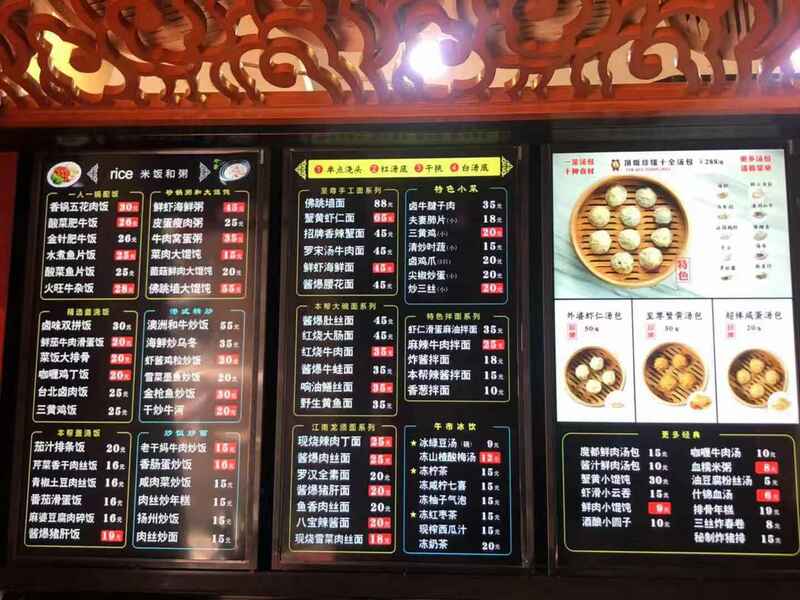 The menu is very wide, maybe too much; they also have Sichuan dishes, Shanghainese dishes, noodles, rice, soups, etc. I would suggest focusing only in dumplings if you go there. The pork and salted egg were okay, nothing memorable, not thaaat tasty. The best was the shrimp one. After that, I had a black truffle and pork which was really good, could taste the excellent combination of both ingredients. The problem is that just one piece is 35 RMB, so if you want to have an affordable lunch like me you better go with the classic variety. 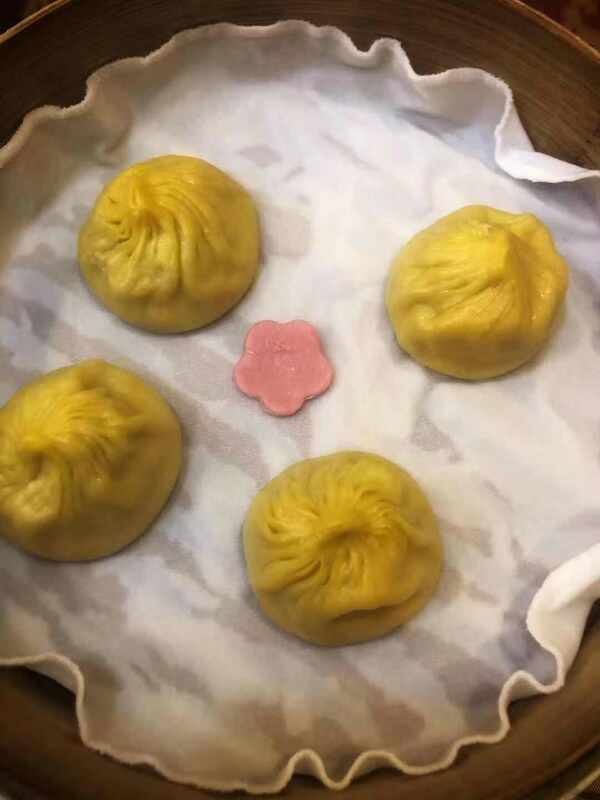 Overall impression: if you want to try something different than the well-known Xiao long bao this restaurant is accurate, but have in mind that is not going to be a cheap dumpling meal like you might imagine or you are used to. Once again the nights find me gastro-exploring the newly opened restaurants and bars at Julu Road 758 hub. 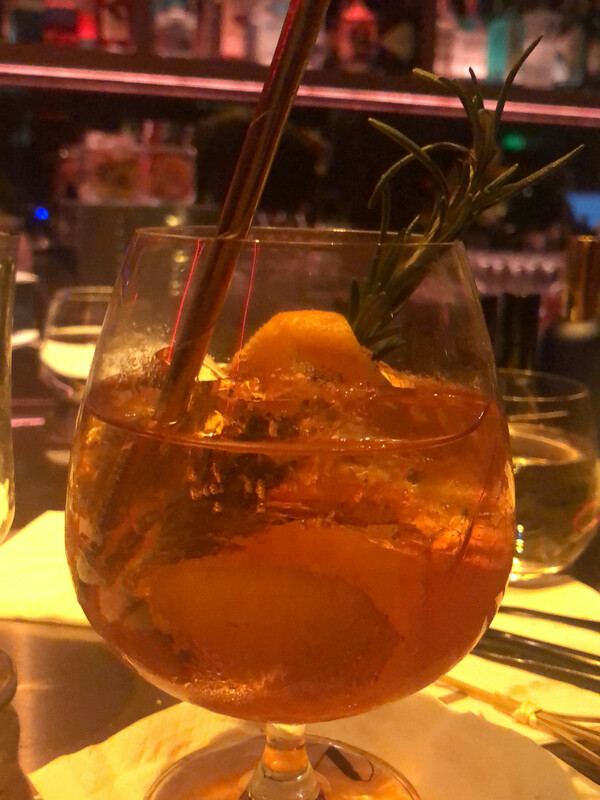 Valpasso –which sounds Italian but has nothing to do with any Italian related other than the Campari or Prosecco you will find in the menu- brings a proposal of crafty drinks and a chilled ambience bar. 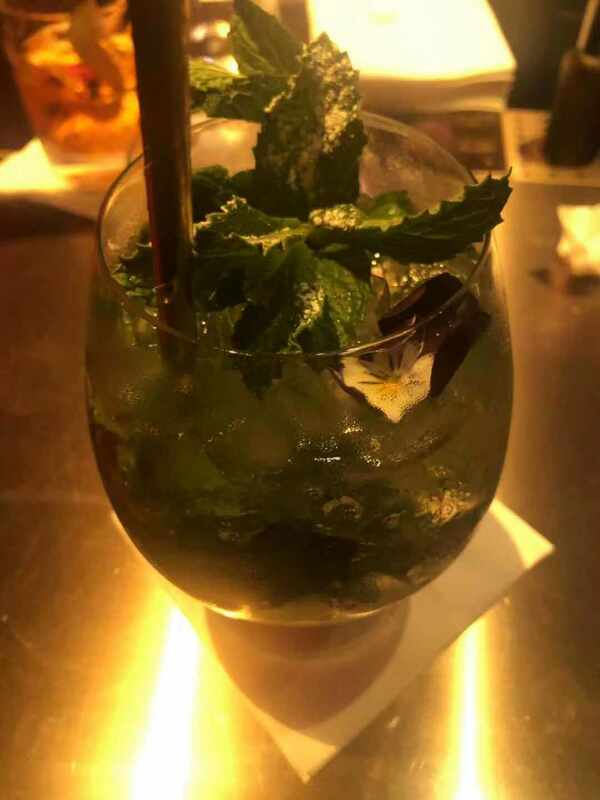 Spacious with mini living rooms around the place and an extensive and fancy bar, which I recommend if you want to exchange some stories with the barman, is definitely suitable for a date or friends night out. We were four and we hit the bar seating, best decision ever. We could see how each drink is carefully and dedicatedly prepared. The food menu is short but satisfying for accompanying the drinks. It is not a restaurant, it's a bar so don't expect a dish of pasta. Shout out for the lava bomb chicken wings –crispy and tender at the same time- and the bbq pork honey siracha skewer. The flambé tart was crunchy but the topping was a bit poor. 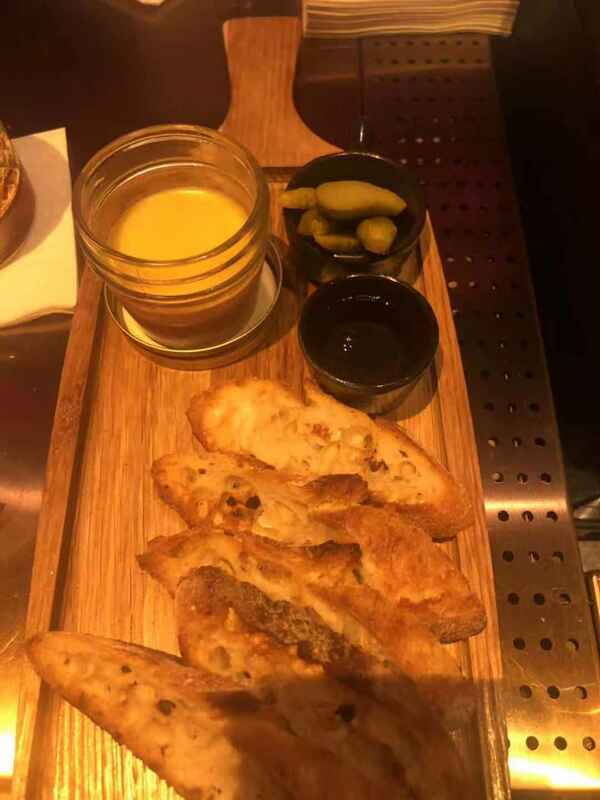 The chicken liver paté was also very good. Each one of us had 3 drinks and shared some dishes and it was 300RMB per person approx. 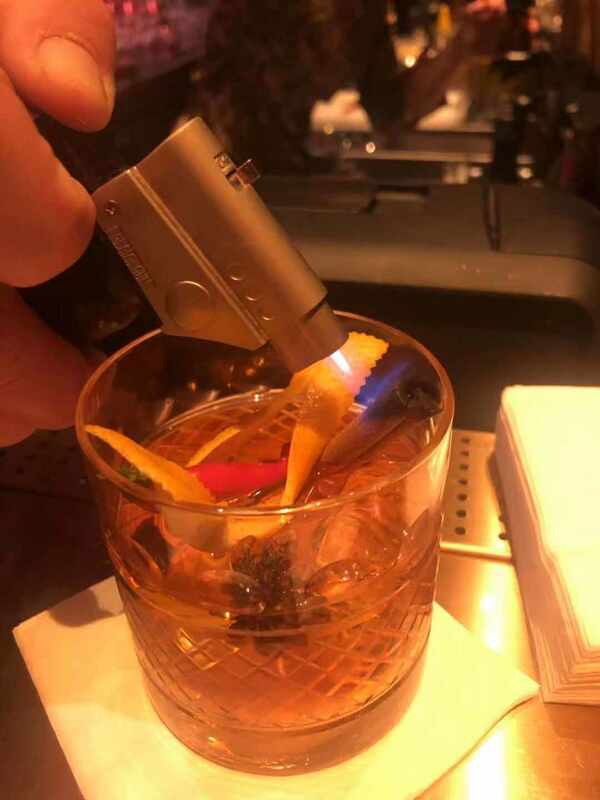 Nothing bad at all, considering this kind of cocktails are getting really expensive in other bars around –with no fundament. The best drink of the night? Can´t really decide because all of them are different. But a good one -or two- to suggest could be “nachos return” or “pretty in pink”. Go and check them by yourself! 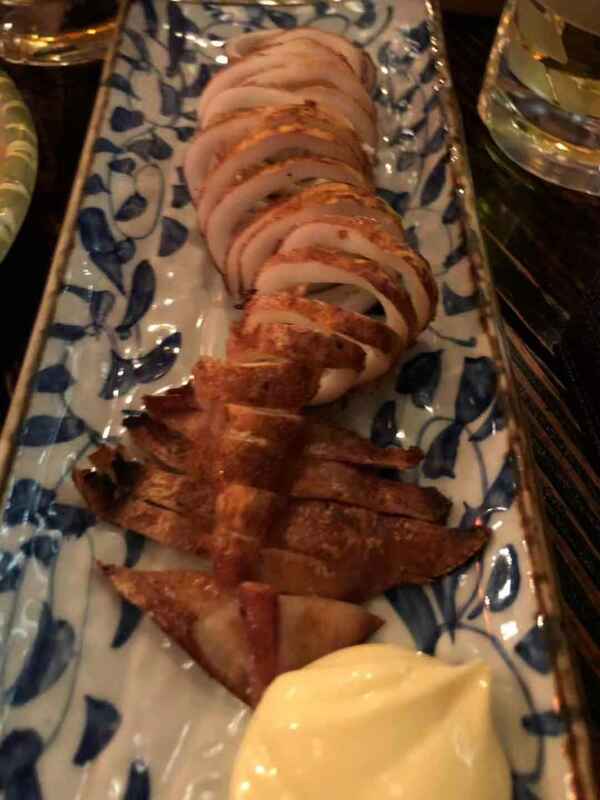 What is it a good fact about any Izakaya? Other than the Japanese tapas, the fast service and the COLD –and cheap- beer. I know Kyushu Izakaya on Jiangsu Road is pretty popular among the Changning residents and the office working people of the area, so if you go on weekdays or weekends you might have to wait a little. 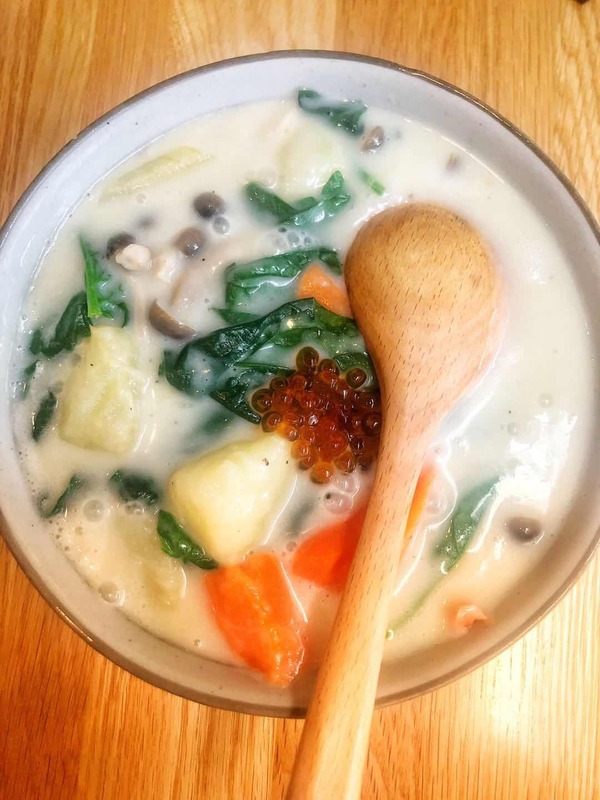 Warm and relaxed vibe plus Japanese music playlist makes you enjoy a comfortable meal that feels really authentic. Wide menu –with English translation- and appetizing dishes for more than affordable prices. If you go for the grilled skewers it will get hard to make a selection. 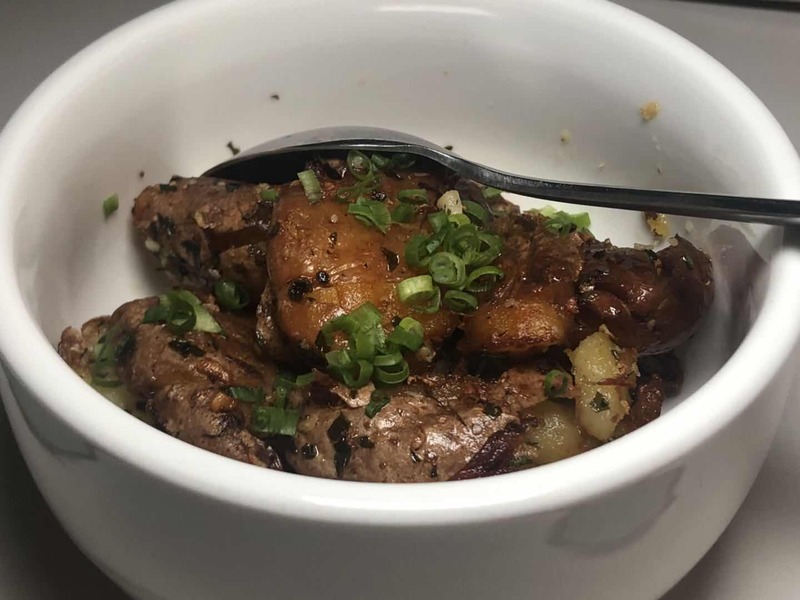 My friend and I chose beef tongue, shiitake mushroom, chicken wings and chicken with cheese. 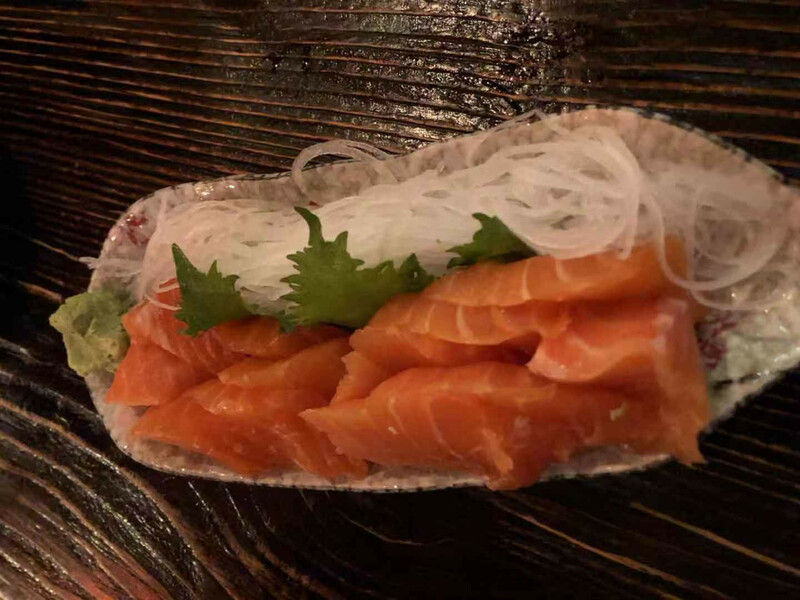 The salmon sashimi is super fresh. 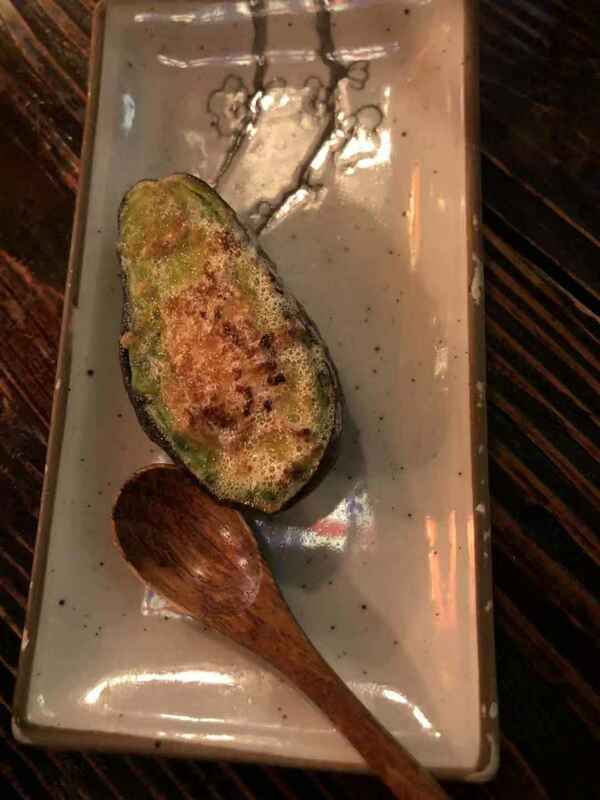 Special mention to the grilled avocado with mayonnaise on top, so delicious! The teriyaki eel, grilled squid and the vegetables tempura were well achieved and tasty. All that food and beers for 320 RMB. 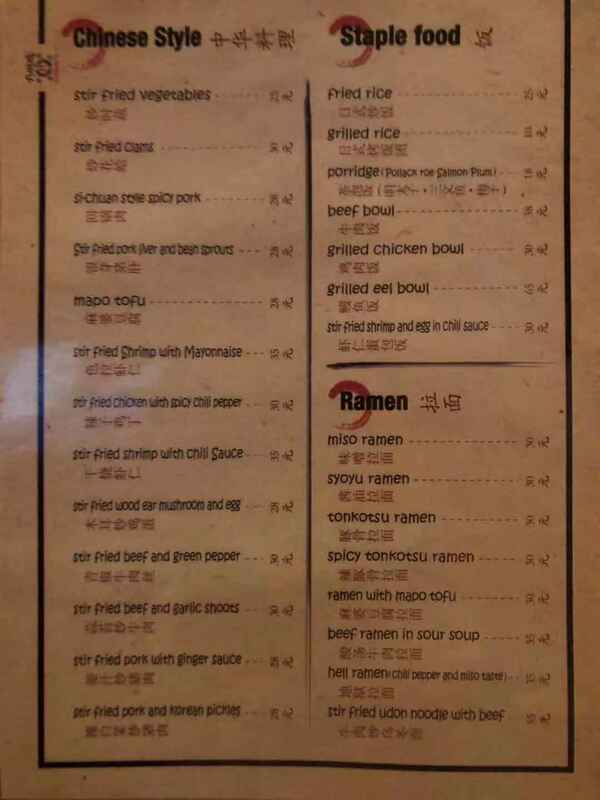 As I said, the menu is vast so next time I will give a try to the ramen and the fried stuff which I heard is also good. There are many similar Izakaya-style like this one in town but this is a little over the average compared to the rest. Go and give it a try! A modern way of saying Tavern. Shanghai Tavern is one of "The Edition" hotel gastronomic proposals, a stylish renovated gem of what used to be a historical building in the middle of East Nanjing bustling area. I have to admit once you enter there you forget you are in China: the decoration is sophisticated, the service is impeccable and the food is absolutely delicious. Suitable for business occasions, I would recommend it to impress a client, or just for grabbing a casual –but fancy- meal with some friends. You can either choose a la carte or go with the lunch menu option: 2 courses 170RMB or 3 courses 218RMB. I went with the first option and ordered the duck leg confit in artichoke puree for appetizer and the avocado risotto as a second course. Both dishes were cautiously presented, full of well-balanced savors, high quality ingredients and most important, full of details. 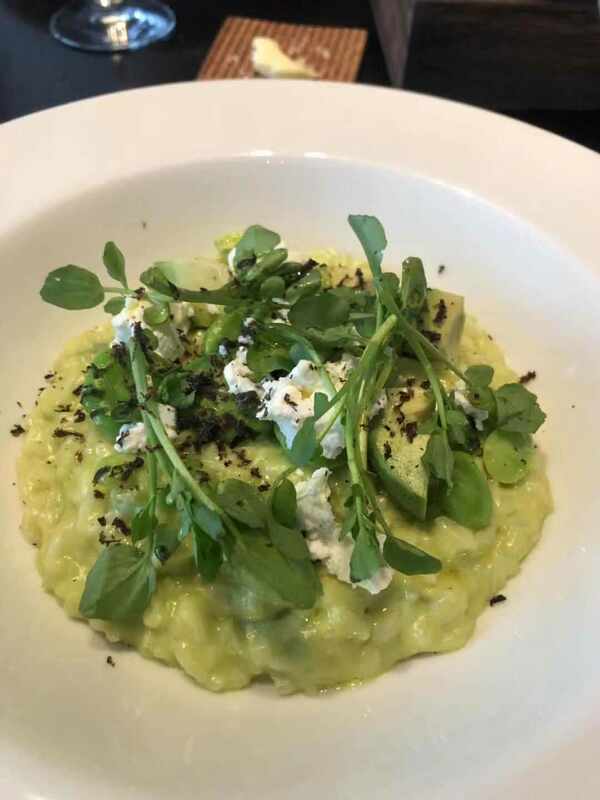 For example, a bread basket with butter endlessly available, extra cheese on the risotto grated by the chef directly over your dish, constant refilling of your glass without the need of calling the waitress…all this small but huge particularities make a five star restaurant. The price is worth the place, food and service. If you are around, don't miss it! For lunch or dinner, it is without hesitation one of my favorites picks in the city. A new concept of pancakes? 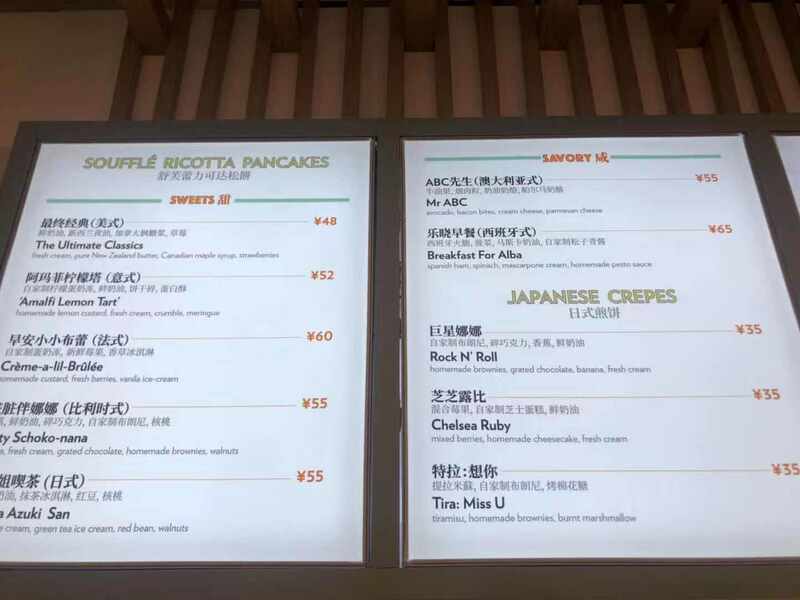 The newest spot for pancake lovers arrived to the city in the recently opened –and still not fully developed- Xintiandi Plaza mall. In the second basement you will find people queuing for this beautiful instagrammable piece of dough with different toppings under the name of Fomo Pancake. The menu goes from sweet to salty choices and the kitchen is open so you can check the whole making process of your pancake while you wait. There is a bar and one tall table to sit, so you better hurry and devour your pancake to continue shopping. Did I say pancakes? Well, not really. The dough is different from what we use to call the western version of pancakes. It has a more pudding and airy style, a lot of cream on top, few fruits and syrup. I found it too sweet and the portion is pretty generous so I couldn't finish it. I had the classic one for 48RMB. The price is very fair for the size of the portion. The place is a “meh”, definitely not for staying a while. I should say it is a “to go pancake” and, in my opinion, the consistency of the dough is not like a pancake one -it is a different concept. 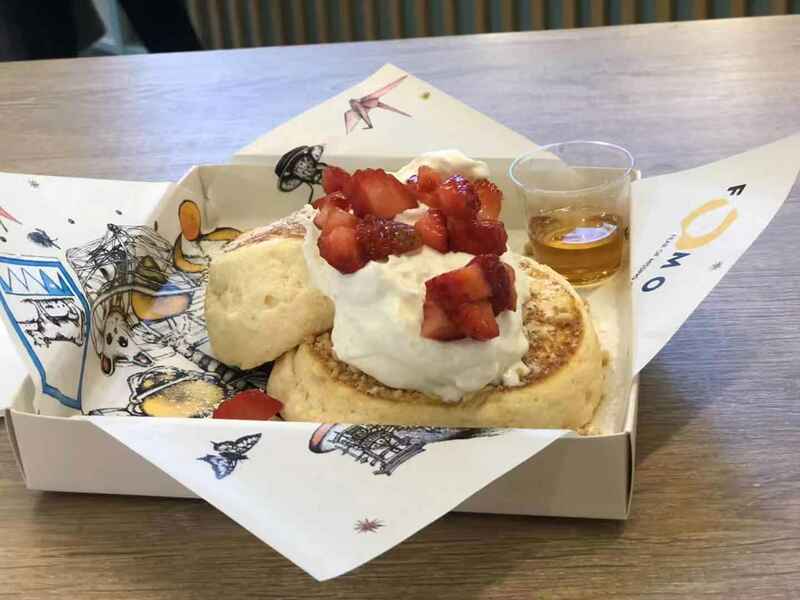 If you are looking for a traditional pancake spot this is not the one, but if you are keen on trying a different version, then Fomo is the place. 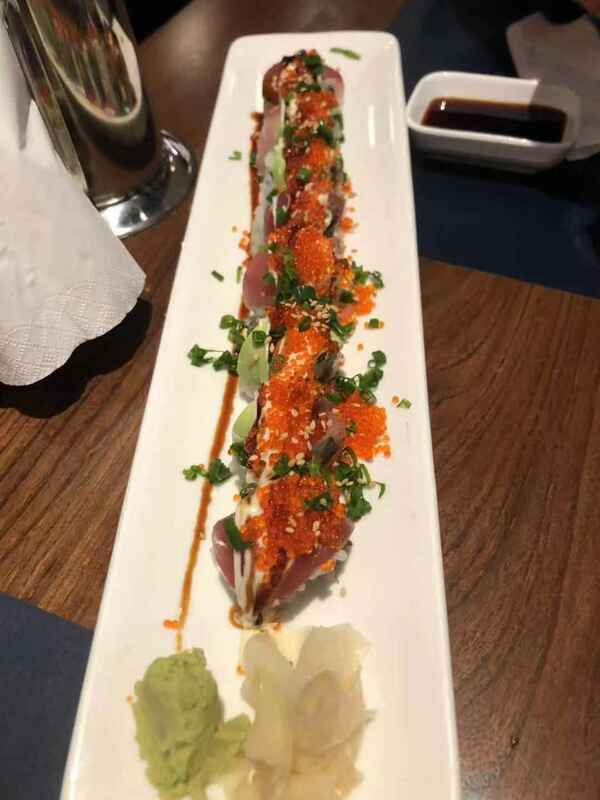 Whenever I am craving for a western version of sushi -or something "similar"- I head to Most, either to the old one close to Shanghai Library or to the newest one in the gastro hub “More Than Eat” at 758 Julu road. Why? 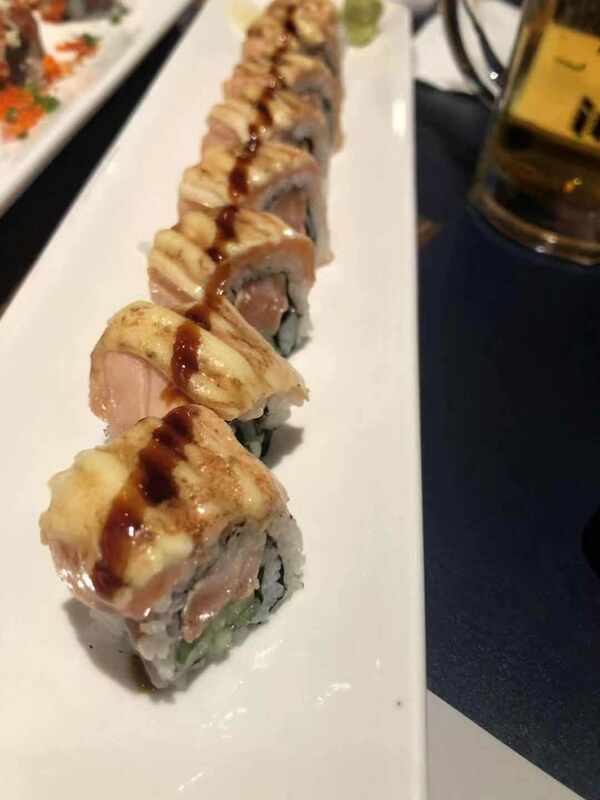 Because not only they have niguiris or sashimis –which are really good and fresh-, but also ROLLS (without Philadelphia cheese though), and their selection of rolls is remarkable. 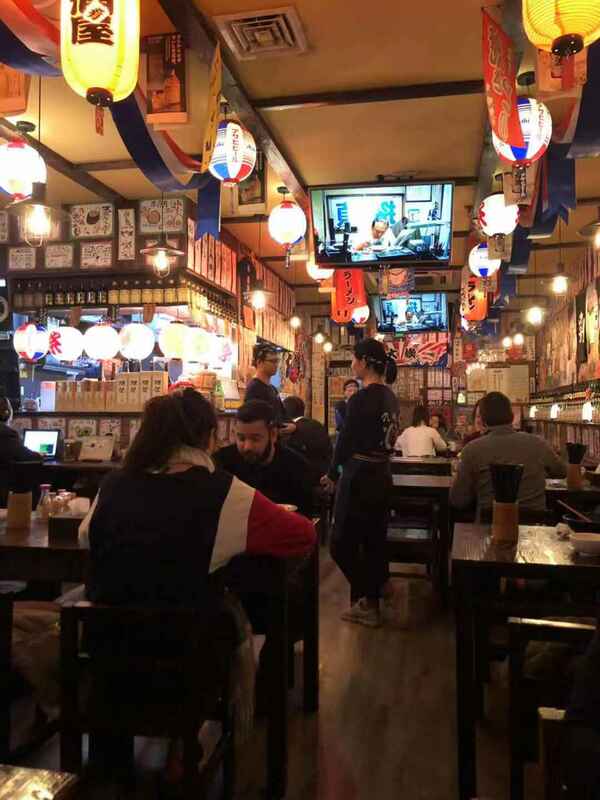 The place is quite modern and neat for being an Izakaya, which generally are more noisy and casual. The only problem is that the place closes pretty early but I guess the reason is because the general place closes early. 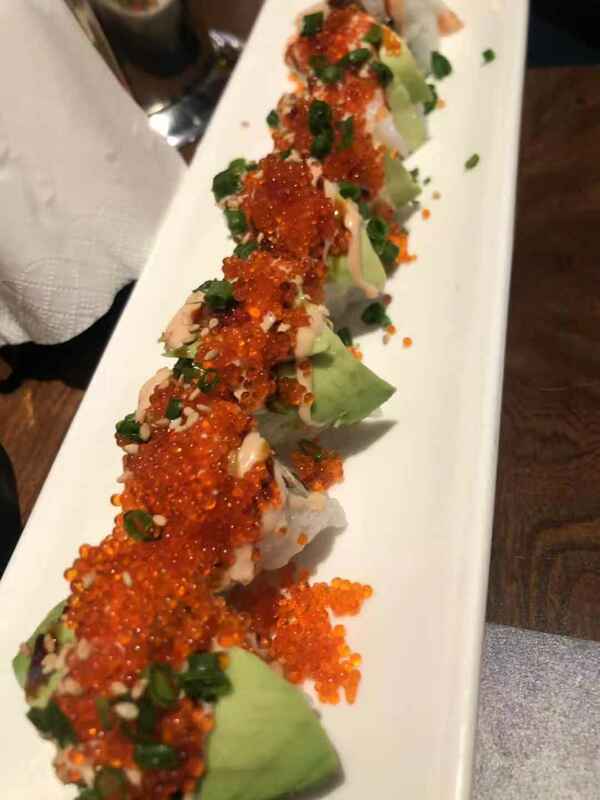 Went with some friends and had the broiled salmon, beef and foie grass, tuna avocado and prawn avocado rolls (8 pieces each portion). Also, as “Izakaya” name indicates, you have more options in the menu like udon, soba, ramen, tempura, and a wide variety of yakitoris. 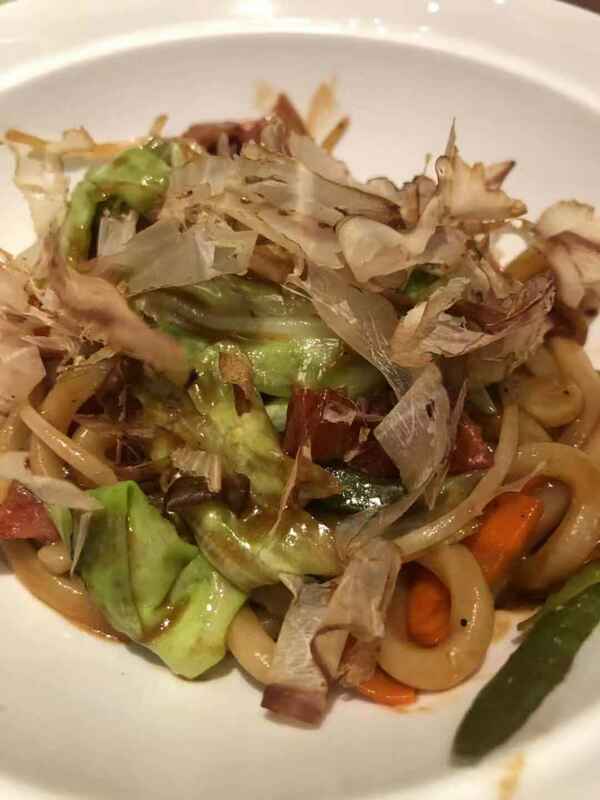 We also had fried udon in spicy sauce with vegetables and eggplant on miso dressing. Good prices and portions, fresh fish, quick service and nice ambient. 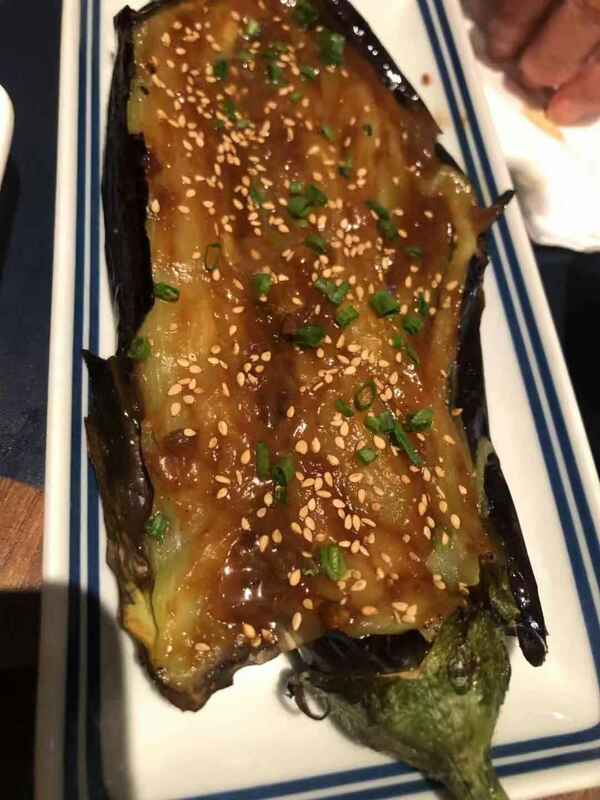 Definitely is an ace under the sleeve for those days craving for a western-alike sushi. This was my second visit to Together for dinner. The first time was during the soft opening and it was not disappointing at all. 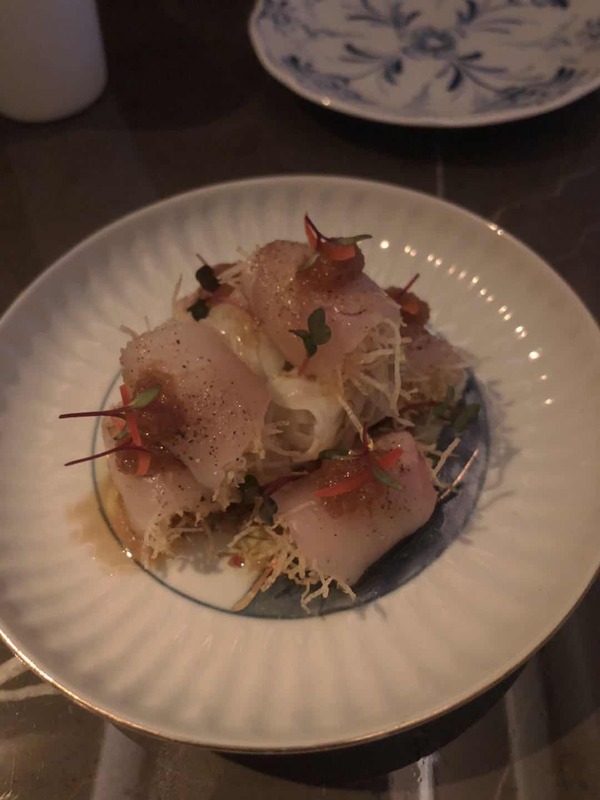 I was amazed how perfectly every detail was planned and how smooth was the service in such an ambitious culinary project, preceded by the people behind The Commune Social. This time the experience was different. The seating plan changed, the tables are much closer to each other. 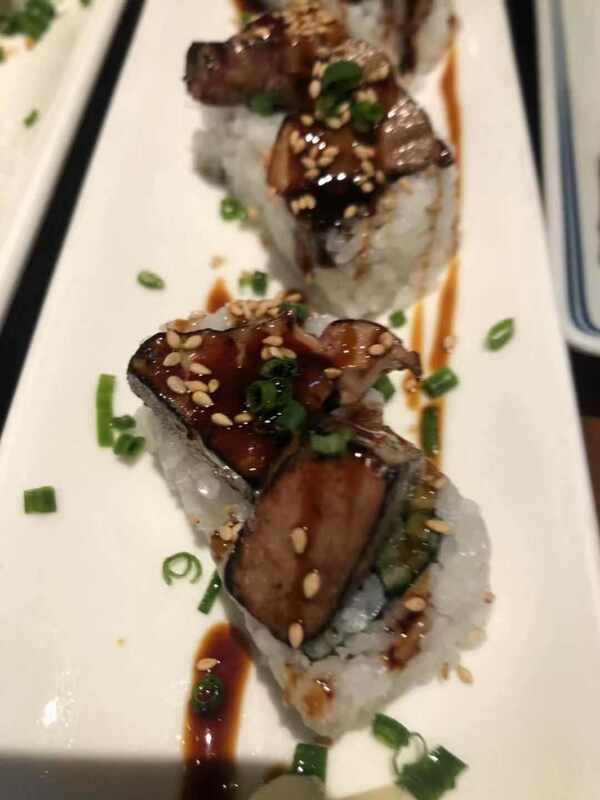 The service wasn't smooth and the food was't astonishing like the previous time. 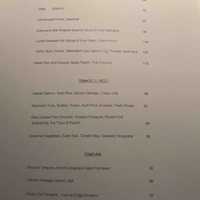 Went with my partner in crime and had the braised octopus, the tuna tartare and the oxtail bone marrow for starters. For mains, we shared the roasted truffle chicken and the grilled salmon on miso sauce. I have to highlight that you can choose half or full portions of the mains which is very convenient so you get a taste of everything. The verdict: not awesome not bad, a sort of 马马虎虎 in Chinese –so, so-. 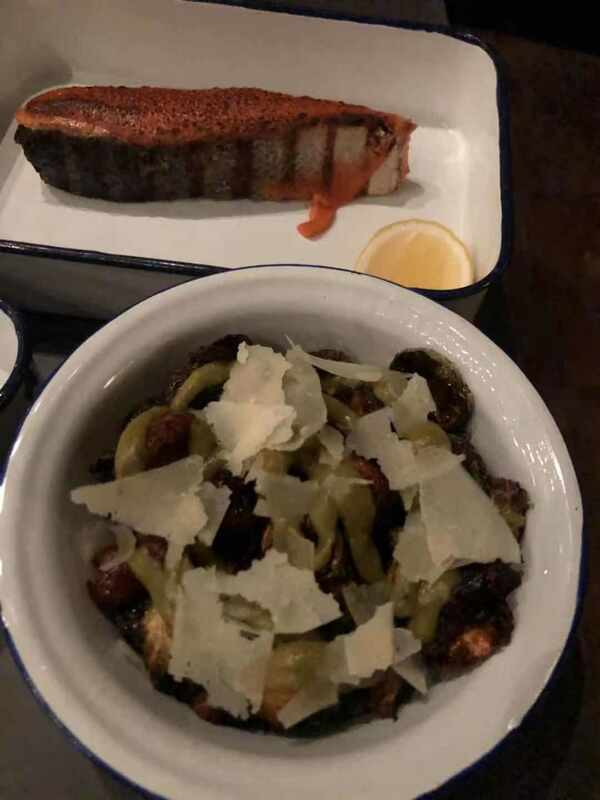 The tuna tartar was a little savorless, the homemade gnocchi’s that come along with the bone marrow were overcooked and the chicken and salmon average. The sides - potatoes and brussels sprouts- were slightly dry as well. The desserts were okay, homemade gelato and a blueberry tart -you can choose any portion of tart/cake you would like from the desserts table. The place is really well designed since you have several options for seating: a bar facing the kitchen, the general salon and a private one -although now the tables are much close in the general area. The style is minimal, the lighting is very appropriate but a bit noisy. I guess Together is a successful restaurant as you may see is always full, but don't get relaxed guys, keeping the quality of the food –specially the flavors- and the service, in a long term basis, is the most difficult task in the gastronomic world. Modern Japanese Izakaya –with some fusion and a top view. 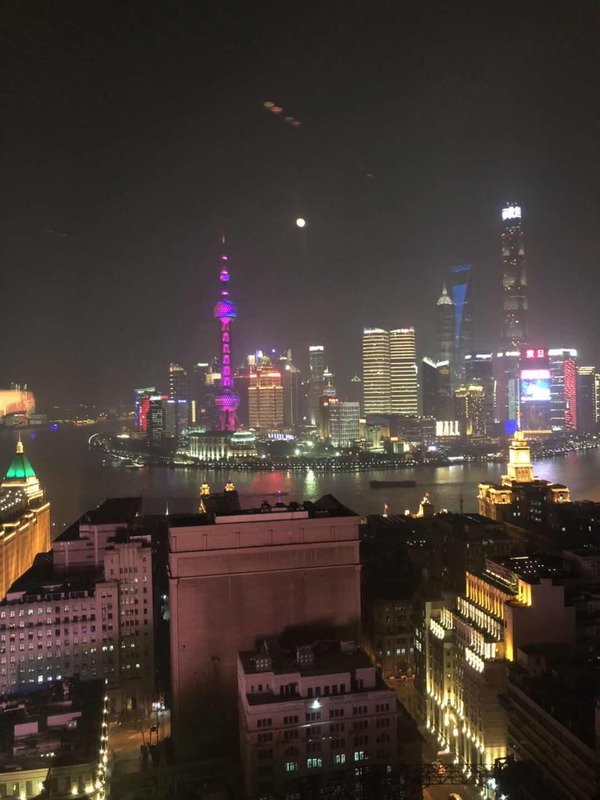 The Shanghai Edition came to the city with several dining proposals, but the most surprising one -for me- was Hiya, a fancy Izakaya on the 27th floor with a stripped and amazing view to the Shanghai skyline. Seated by the window we had a full experience. The place decor is minimalistic and sophisticated. You will feel a tranquil vibe and will get a really professional service from the staff. 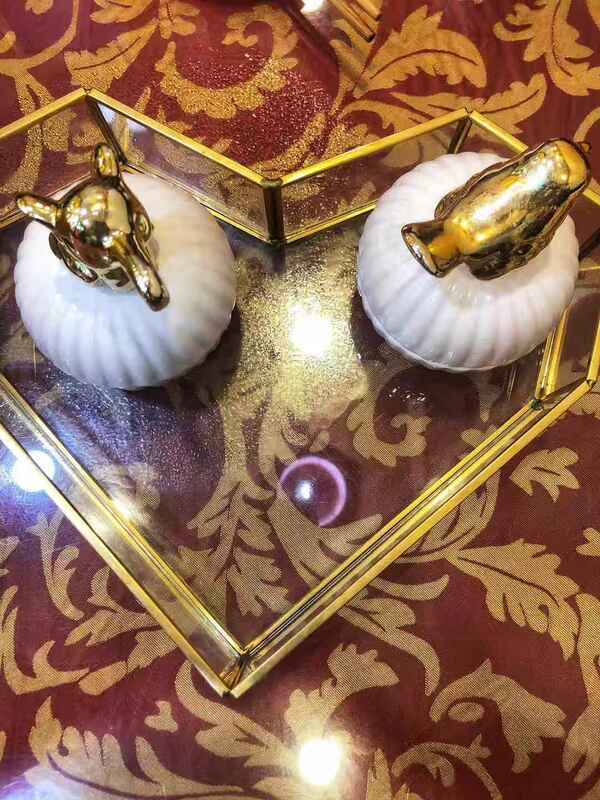 Also, pay attention to the tableware because it is Japanese style and very fancy one. The menu doesn't reflect a real and traditional Japanese Izakaya but that extra modern touch turns into a fusion I really liked. We had a two Temaco that are a taco but made of tempura fried seaweed instead of tortilla filled with tuna and salmon. Simply delicious: crispy, fresh and tasty. They bring homemade mayo and spicy tomato sauce dip, both secret recipes of the chef, which are incredible. The cured seabass roll with crispy potatoes and a mouthwatering sauce, glorious. 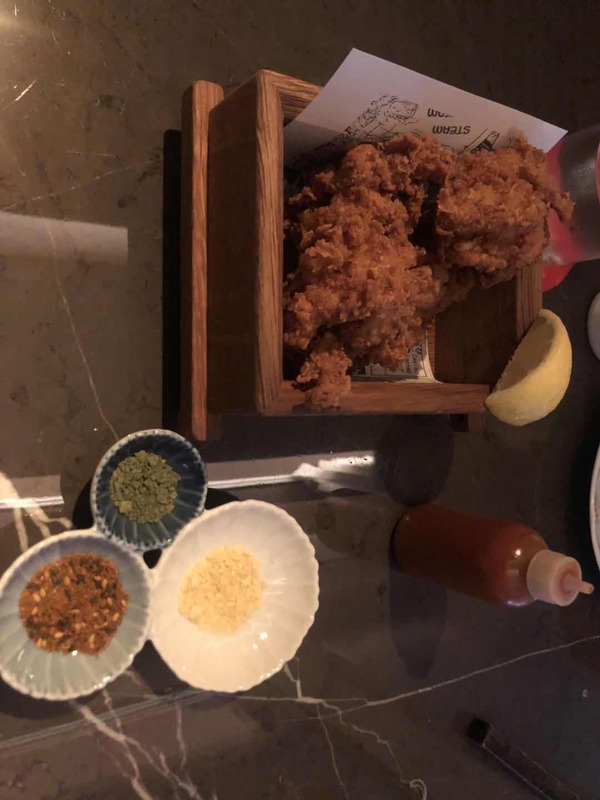 But that's not all folks, the tempura chicken aka fried chicken, I think is in my best top 3 I have ever tried. 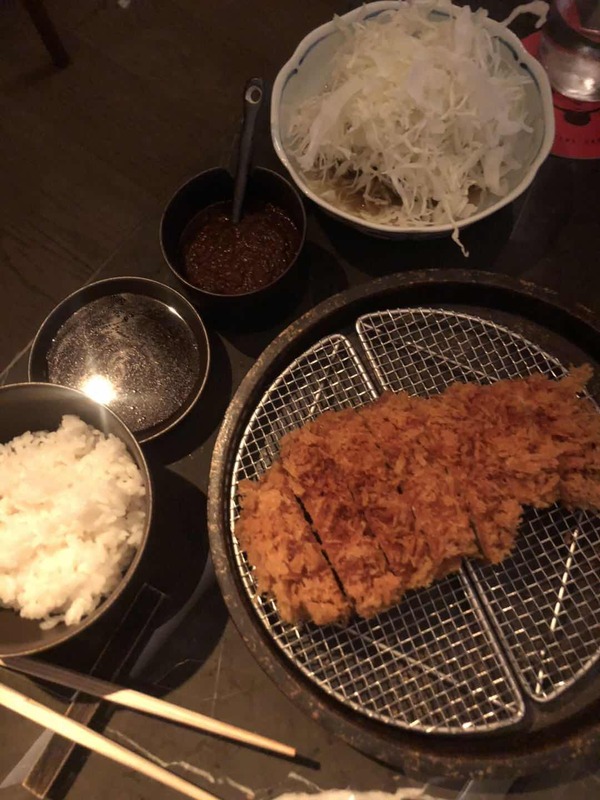 Also the pork tonkatsu was delightful. 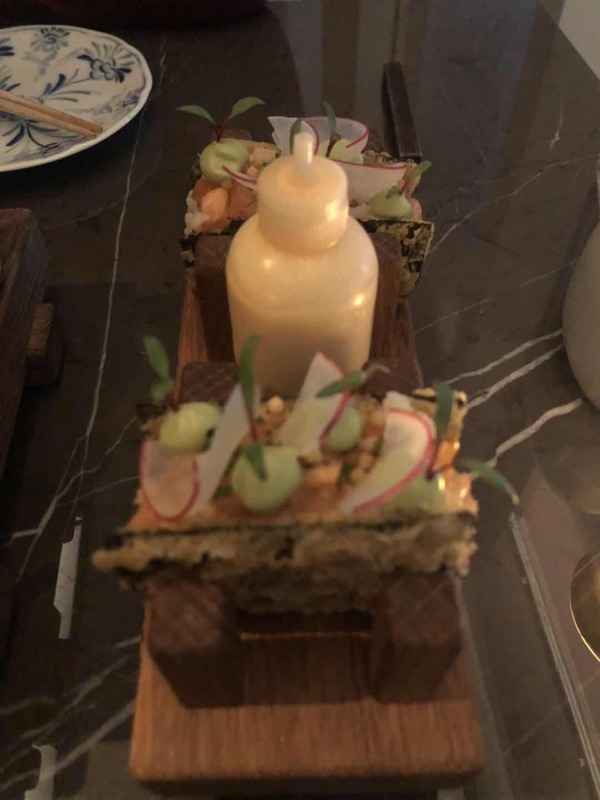 I guess the twist to the Japanese classics are amazing and although it seems it might be boring to go for a dinner in a hotel, believe me this restaurant –and this hotel- is in another league. 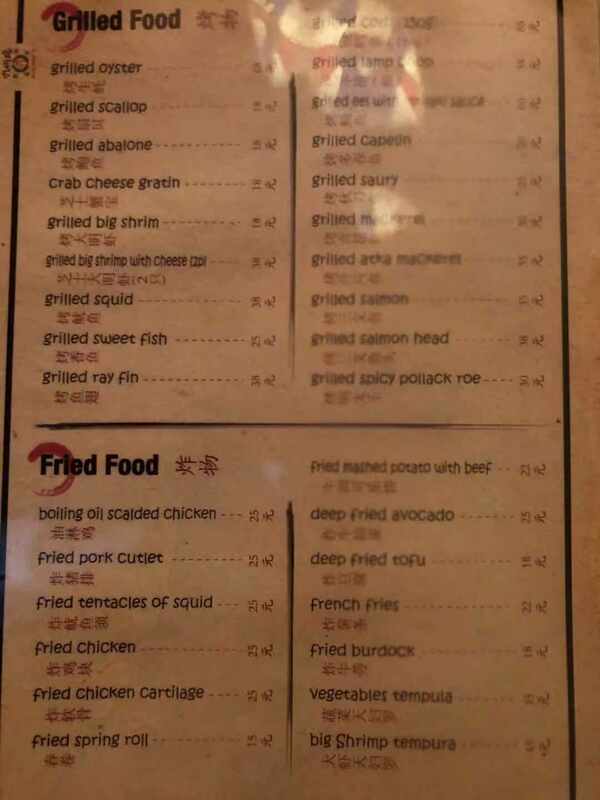 Dishes are pricey (1100RMB aprox. for 2) and the portions are small but, the delicacy, high quality of the ingredients and the savor of the dishes are worth to give it a try. The Monkey is back but still need some time. 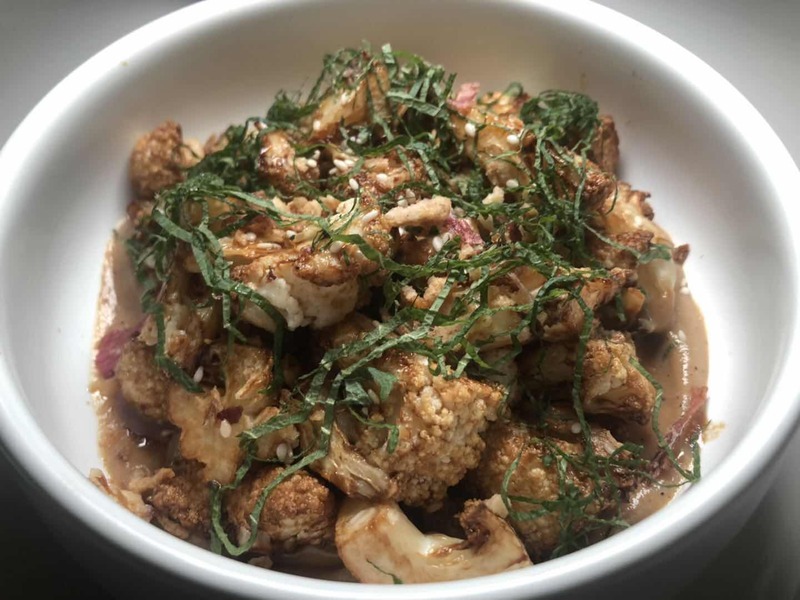 Monkey is back on Julu Road newest hub with a new plan: fancy and artisanal cocktails, smaller venue and burgers. I like the deco, the music and the lighting but it is really small and the seating floor plan is a little packed. Good music but very loud if you want to go on a date, wouldn't recommend it. 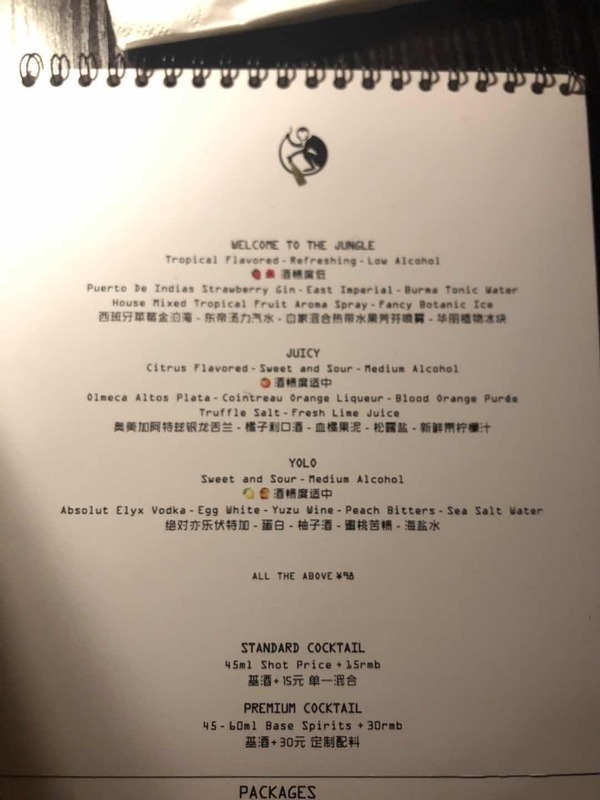 Ambitious drink menu with signature cocktails that are interesting -in concept- but, to be honest, a little pricey. 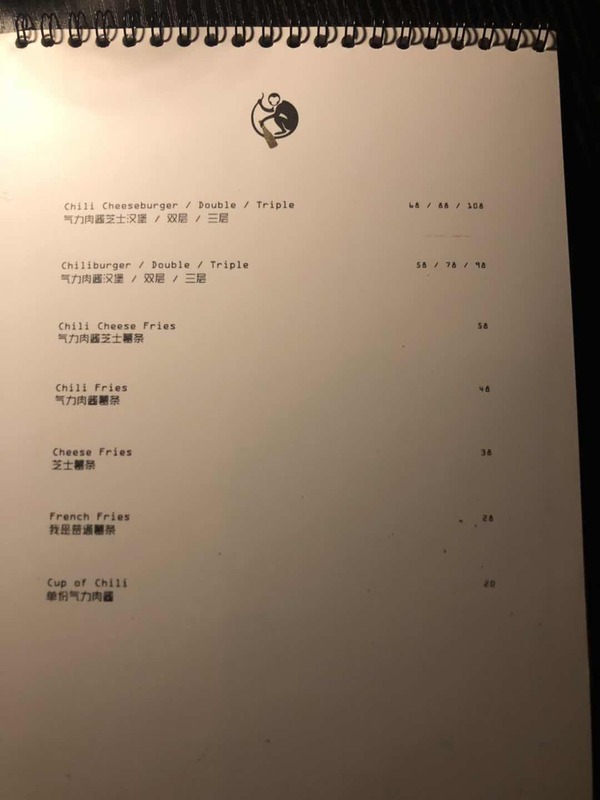 The food menu is basic; they serve hamburgers with cheese and chili -or just chili- and fries also with same options. Went there on a Friday night for a relaxed dinner and I don’t know if they are still in soft opening or not, but the overall experience was messy. Got the wrong order for the drinks and for the food. The burger patty was almost like minced beef, it tasted okay but it was also messy. The house chili is regular and is all over the food menu. Even though we ordered cheese fries they came with chili also. The drinks are between okay and mediocre, nothing out of this world for paying 100 kuai or more. I think this place has potential only if they organize themselves and the service, otherwise, I wouldn't suggest a good experience there. I guess the music is pretty good but that is not enough. Zhejiang road, Muslim Food Street, bustling stores, open street butchers and roasted lamb aroma all over; my kind of place. Guang Guang Ji is THE place to go if you want to have some real halal food. Why I haven’t been here before? I - don't - know. We deliberated decided to go late to avoid the waiting and we still came upon the three floors packed of people at 1.30 pm, which is supposed to be “late” for locals to have lunch. This place is a complete success and I could realize why. I was the only foreigner so I knew I was in the correct place. Energetic atmosphere, food coming and going all over, super friendly -and quick- staff and affordable prices for generous portions. We ordered several dishes and all of them were spectacular, tasty, spiced and as I always say: full of love. Lamb skewer, boiled mutton, beef baozi, Xinjiang rice (with raisins and lamb), cold and also hot noodles, traditional bread and I stop counting. We ordered so much food! My Top 3 dishes: lamb skewer, liangpi cold noodles and Xinjiang rice. The whole experience is totally worth it and you can also go at night for a late -or very late- craving until 3.30 am. 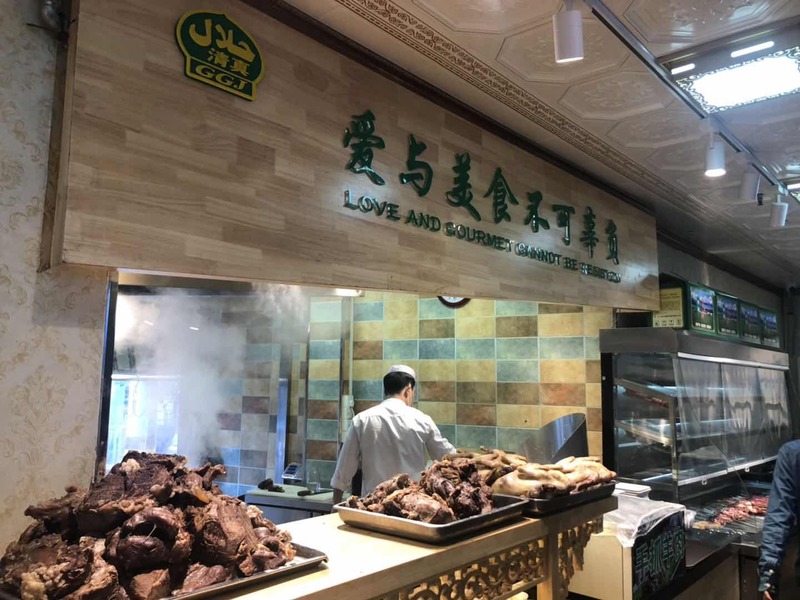 Halal food and Northwest Chinese delicacies to enjoy for a very good price. There is always a long queue and waiting list for this venue. Very packed inside, especially on weekends, as it has gone popular among expats and locals. I was wondering why? Honestly, few places/things deserve a long wait so I decided to run some errands around while my name climbed up the list – I was still curious about Rac. Once seated inside, I looked around and liked the distribution: few regular tables and most of the seats arranged to share with strangers. I like this “socialization seating method” but not everyone wishes to share the table with somebody they don’t know. That is polemic, I guess, although I like it. We went for a coffee and sweet crepes. Americano: perfect. Mouthwatering aroma and balanced taste, it goes straight into my list of “artisanal coffee places”. Went for tea time, so my friend and I, decided to go for the classic nutella crepe with a rain of almond crumble on top and the salted caramel one. Surprise? Yeah, but not a pleasant surprise! Where is the topping? I was craving for a waterfall of warm nutella to please my soul and my friend for salted caramel! Guys, why are the toppings so little? they are not enough. The best was the roasted caramelized almonds. I mean, the whole crepe wasn't bad at all, but it is not cheap for being so little and after that I was still craving my deserved portion of nutella … I guess I will have to continue waiting for a good nutella crepe in the city. Nice place: yes, joyful and vibrant. Food: yummy but for the portion, scarce toppings and pricey. I would give a second chance and come back for a brunch option but definitely won't make that line. 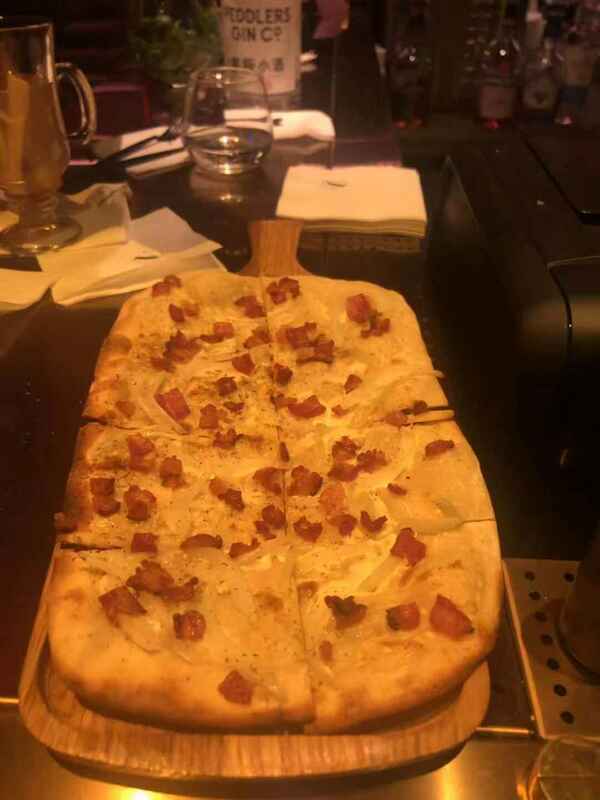 I was always curious about La Strada Pizzeria since the place is full every time I pass by Anfu Road. So, I finally decided to give it a try on a Saturday lunch. The place is not big, nor small, cozy and with a nice window that gives a view of a quiet but interesting street while chilling inside. Perfect for this cold days! The menu is diverse, you have different options to choose. To start, I ordered a bean mash with pita bread: the bread was yummy, the mash lacked a little of everything. We continued our journey with a truffle gnocci and a quattro stagioni pizza to share. We thought it was going to be a lot of food but no, we were okay, the pizza has the perfect size and the pasta as well. The gnocci were so-so, nothing to remember, and the pizza was pretty good. It is not the best pizza I had but the balance between the ingredients and the cheese was the right one, which is very important. They have the traditional pizza oven which I love and it’s essential if you want to be properly called a “pizzeria”. One point for that! Comfort food, cozy place and tranquil vibe. Okay for a lunch but wouldn't have dinner there. American brunch style? Not that good anymore. 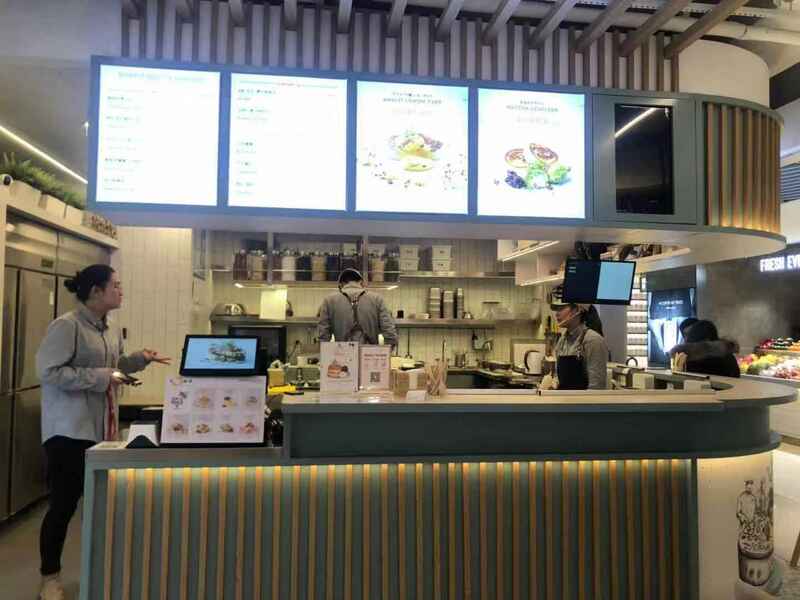 I don't know if the Diner on Wuyuan Road is definitely or temporarily closed, but the newest branch at the Lu One mall doesn't make any justice to the original one. We were pretty classic this time: a burger with fries (have to order separately) and The American all - day - breakfast. The burger “shrinks” like a new pair of jeans after the first wash. Pickles on the side, why? Just place them inside…The American platter is also regular, the bacon was crispy but the sausage patty was very oily and tasteless. The staff is friendly and the service is fast. The place is tailored like the former Diner but the lightning is too bright, I wouldn't go there for a date. The Wuyuan location was cozier, the food tasted better and the portions were bigger as well. Hope they upgrade the place and the food as it used to be in the original version so we can keep enjoying a good quality American breakfast all day. Quite new, but still not very popular, the place is very interestingly decorated. Hanging things all over; check, colorful lights; check, a belt crossing over the tables; check, a barman in a corner that prepares “weird” drinks; guess what? Also check. The place is an experience by itself. For your understanding if you haven’t been there their system works like this: there is a belt moving constantly next to your table with different small cold dishes. You can pick how many you want and accumulate them until the end of the meal. 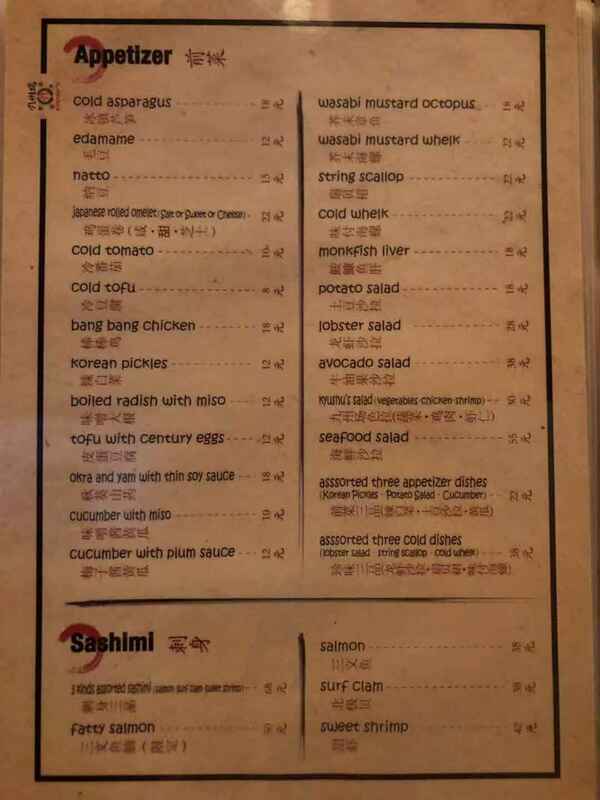 Each cold dish is 19 RMB and for the hot ones they give you a menu to order, each plate for 22 RMB. You have a free flow option of both hot and cold dishes for 185 RMB for the hungry ones. I went there for dinner, big mistake. The food is average, some hot dishes like the chicken curry or the beef taco were good but most of the cold dishes were okay and period. 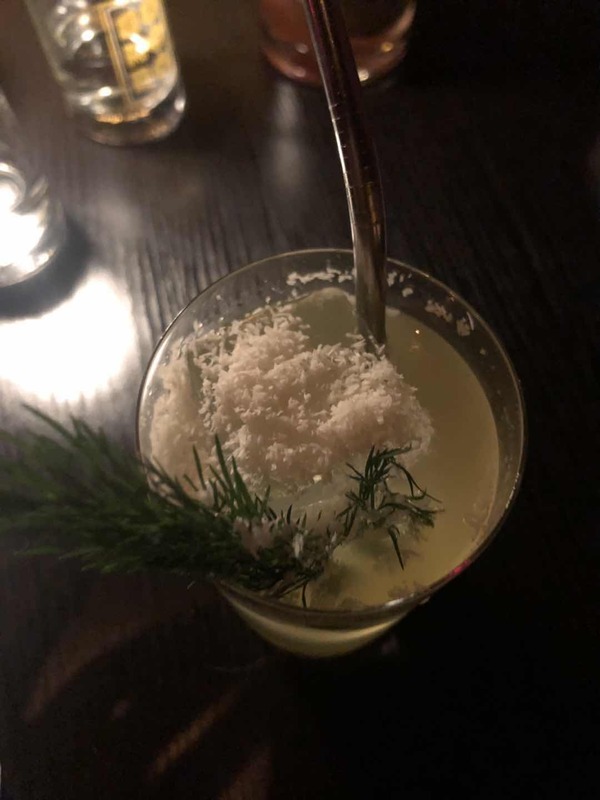 What I could see from the other tables was that the drinks were worth it –or at least seemed like those types of funny drinks that go straight to Instagram-. I wasn't for a drink night so just had a glass of wine. If I had to come back I would undoubtedly go for drinks and not for the food. Sukiyaki: Japanese hot pot style, sweet taste and lovely dish for these winter days. Went there with my office mates and would recommend it for big groups since you can share a pot every three persons. What I mostly like about this experience is the “cook it yourself” kind of way of eating and the relaxed environment around it. You get really entertained while chatting with your friends and throwing things to the boiling broth. Careful, it is not for impatient people, you have to wait until the food cooks and it is quite hot. How does it work? Easy: throw the veggies/meat/whatever else you ordered in the pot, wait until is cooked, dip your picks in a small bowl of raw beaten eggs and finally straight to your mouth. 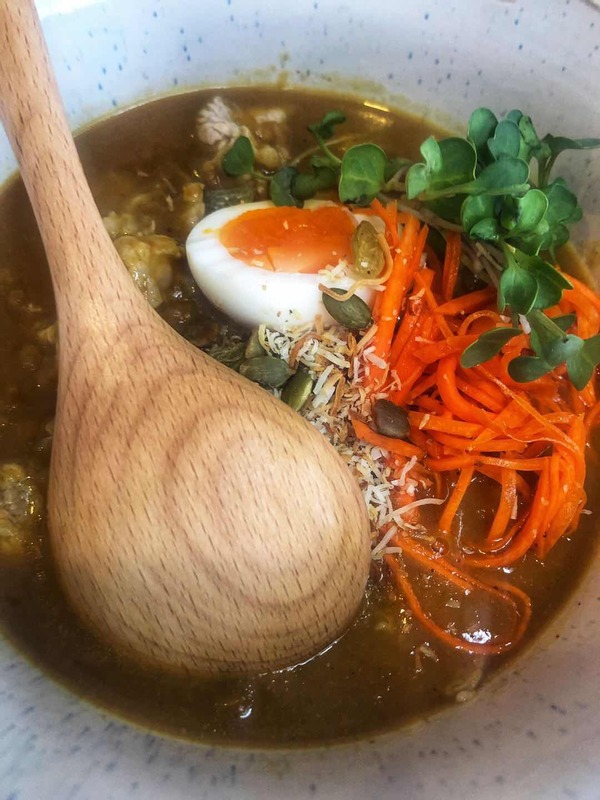 The touch of the eggs mixed with the sweetness of the broth is an amazing combination. There are different options of sets to choose which includes a wide variety of vegetables, meat, seafood, noodles, etc. non-stop for 90 minutes (full menu option for 168 RMB including soft drinks). Nice deal, definitely recommended! Craving for some comfort winter food I decided to head for Pie Society on a Saturday lunch. Went there with a friend and our dogs. There aren’t many pet friendly places in Shanghai so I really value the possibility of taking my dog for a meal out. The Jing An location is bigger than the original and the vibe is quite tranquil and relaxed, inviting you to stay for a coffee after eating. 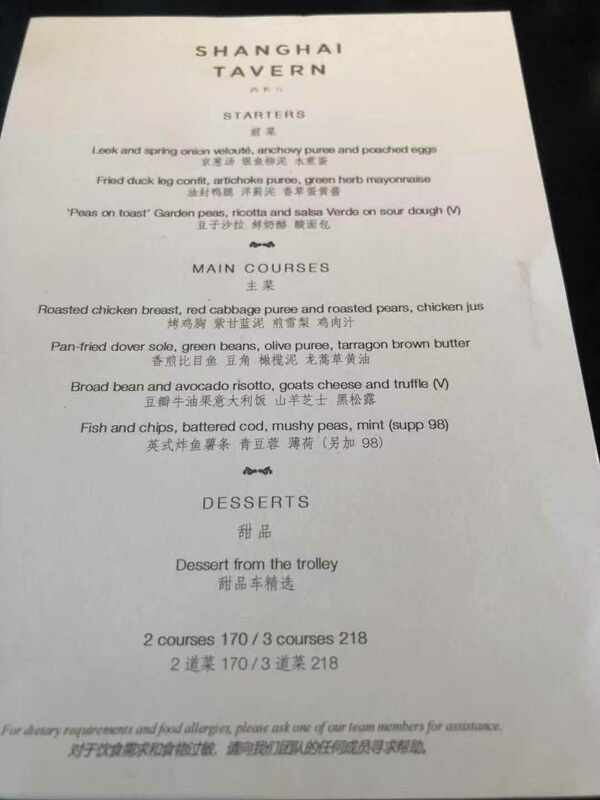 There is a Christmas Lunch menu that is really good for 108RMB (includes: pie, side, graving, stuffing ball, pudding and tea or coffee). I had the cheese beef pie but my friend had the special season one with turkey, cranberries jam and cinnamon. Both were delicious, crunchy and savory pastry and tasty stuffing. 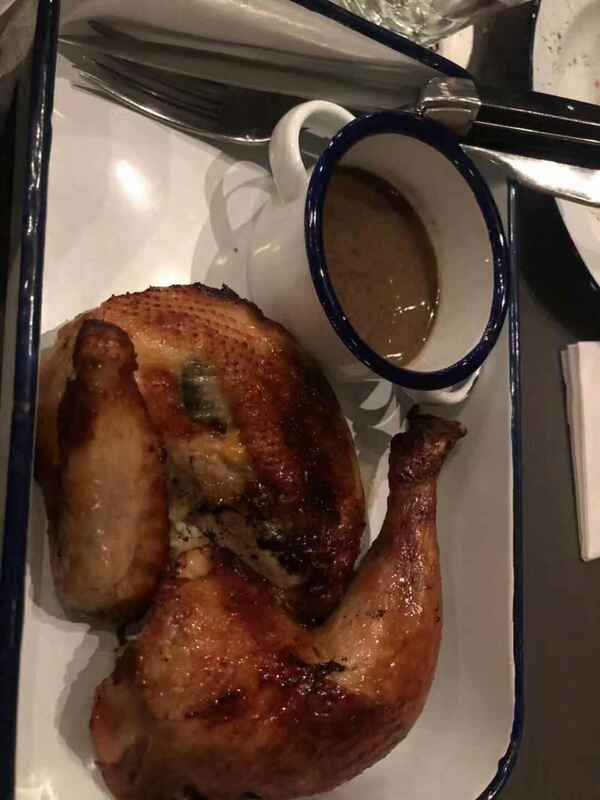 I suggest choosing the combo option which comes with gravy and a choice –or two- of a side. The Christmas gingerbread pudding was our favorite. This is not my first time in pie society, every time I want some quiet and simple - but tasty- lunch I come here. The breakfast options are amazing as well. Give it a try! 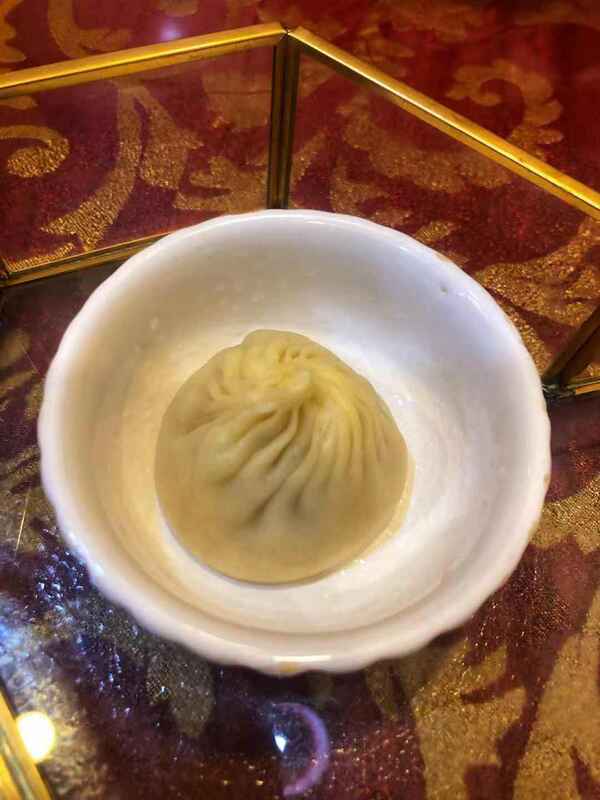 When a colleague told me that Jia Jia Tang Bao was THE famous place to eat xiao long bao –dumplings- in Shanghai and that even people from Hong Kong would come to queue for a meal, I thought he was exaggerating. I must say: “not at all”. I went to the Huangehe road location on a cold rainy day to avoid making the line but still there it was, a long line standing under the rain. The house specialty is the pork dumpling, which of course it was sold out when I got there. A little disappointed we ordered crab-filled instead and crab mixed with pork. Did I say disappointed? Hell, NO! They were delicious and no kidding, the best ones I have had so far in China. Super juicy and tasty. Veeeery tasty. Of course, the ambience is a classical Chinese street restaurant: few seats, busy and bustling atmosphere, no heat, small tables, fogged windows, open kitchen cooking non- stop, people coming and going…It is an experience by itself. If you want to try real homemade and fresh dumplings, certainly this is the place. Be patient to queue and to eat them…they come right away in the bamboo steamer from the kitchen to the table! Cozy and relaxed. If you don't know it is a French restaurant you might think it is Japanese because of its decoration. Low lights and few tables with a wall on the back full of wines. The wine selection is very nice but pricey. The staff super kind. The menu is varied and the dishes are at very reasonable prices. With my partner in crime we ordered a small cheese board/plate and the grilled octopus for starters. I have to say the cheeses were pretty average (firstly we wanted clams but they were sold out). The octopus (spicy) was nice though. Later we had spinach ravioli and slow stewed beef risotto. 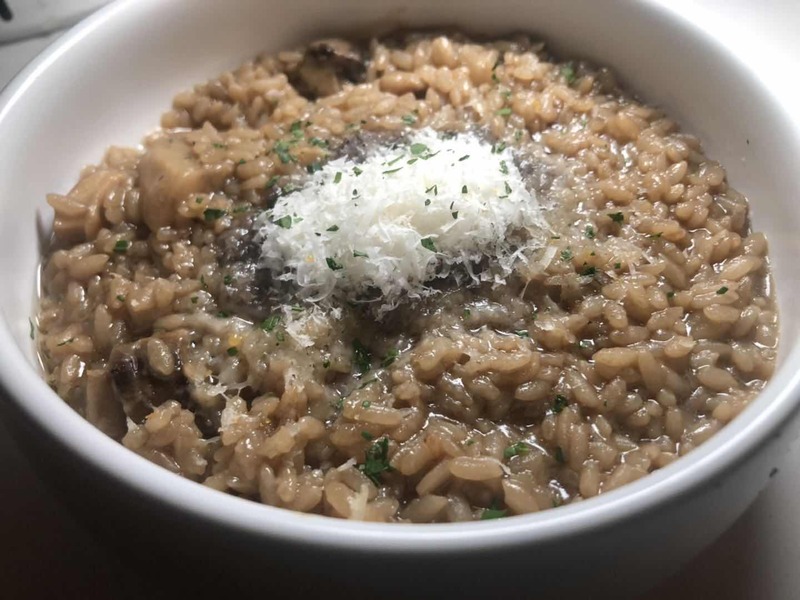 The ravioli were tasty, creamy and well stuffed, but the risotto wasn't a risotto, neither the type of rice used nor the cooking method was one of a risotto. We also couldn't find where the beef was. Other than that, I have to admit the sizes of the portions are quite generous. We didn't make it to the desserts guys, sorry again! Overall feeling: the place is amenable but I wouldn't say it is an authentic French bistro. They have a diverse menu for different tastes. There is that “something else” that makes it a little bit confusing of what are you expecting. The food is average and the wine could be more affordable. Having so many places in the city to try out, I wouldn't come back. Sun with Aqua is one of those places on The Bund where you can go for lunch or dinner. The romantic deco full of cherry blossoms everywhere and low lights could be suitable for dates. However, if you don't need too much intimacy I would suggest seating on the bar that goes around the open kitchen. It is a pleasure to see the delicacy of the chefs while cooking. I went there for lunch on a week day with my partner in crime (booking required because it is always full). There are several set menus to choose with interesting options. 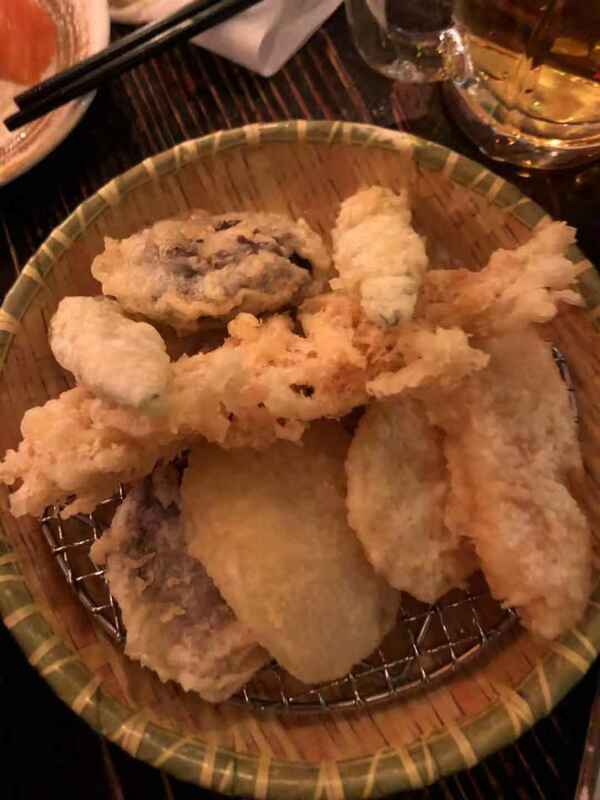 We decided to pick the Chef´s sushi variety with tempura plus Udon (you can also choose soba) and the beef option from the teppan grilled combo meal. The last one comes with miso soup, pickles, salad and rice. The price includes coffee and ice cream. Fresh niguiris, crunchy panko tempura and a comforting broth with noodles: what else do you need in a single meal? The beef with smoky garlic also was amazing, so tender! 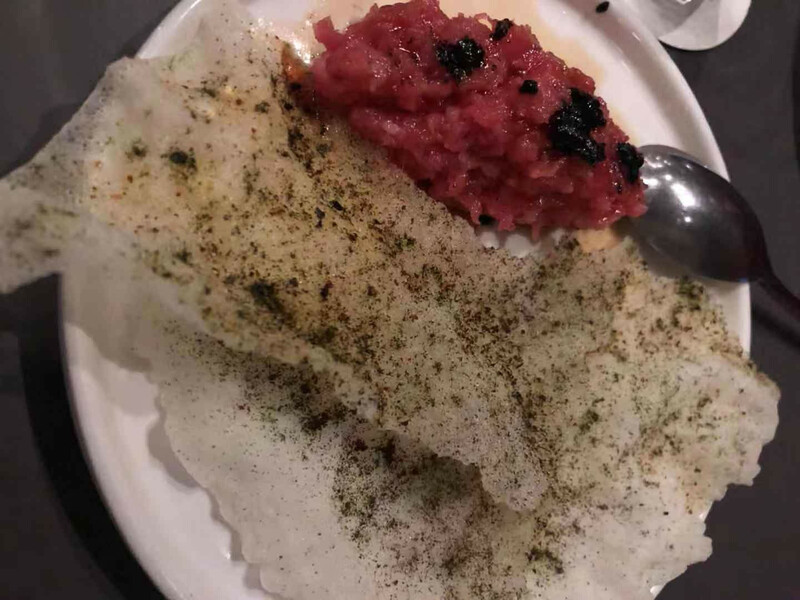 It is pricier than other Japanese restaurants but you have Liujiazui´s view as a bonus and the high quality and freshness of the ingredients they use, especially the fish –and definitely this is very important. Gelato all year round. Part II. Between ice cream lovers we truly share any info about new venues or hot-spots worth to try. I heard so much about this place in Jing An neighborhood called “DAL CUORE” that I couldn’t wait to stop by for a cone! The place is small with a Scandinavian decor style. I think I stopped by in a particular day because it was a mess. Kids over the counter, angry parents because there was no queue for the cashier or for the serving, staff overwhelmed…I mean, you could see it was crowded because it is a popular spot -and also because the venue isn’t big-, but what about the ice cream? After people lowered their anxiety with a little of sugar I could finally order my cup, yes a cup, not a cone! You would ask why? Because the cone is really tiny. I could visualize my gelato’s death by collapsing after the first lick. So I went for the safe option: the boring cup. I have to admit my flavor choices weren’t the smartest ones, Almond Afoggato and Cookies & Cream. I couldn't distinguish which one had these coffee taste sprinkles that, in my opinion, ruined my ice cream. I can stand the coffee flavor in the tiramisu for example, but not in this case. Regarding the gelato quality: creamy, yes! But not as crafty and home-made style as I was expecting. I will come back for a second chance since I think it was just a bad day and certainly will try other tastes. Gelato all year round. Part I. WHO says ice cream is only for the summer season? The true gelato lovers are loyal all year round, like me. Let’s start with one of my favorite shops: DE MEDICI. A tiny space in the middle of Yan’An half block from The Bund. It’s not difficult to spot as it is the only ice cream shop in the area. When it first opened in that isolate location I was skeptical about their sales, but I might have been wrong since I had to queue for my fisrt ince cream there. Small but cute with a window facing the street, is a walk by option worth to stop. Had the cone –of course- which was very tasty. 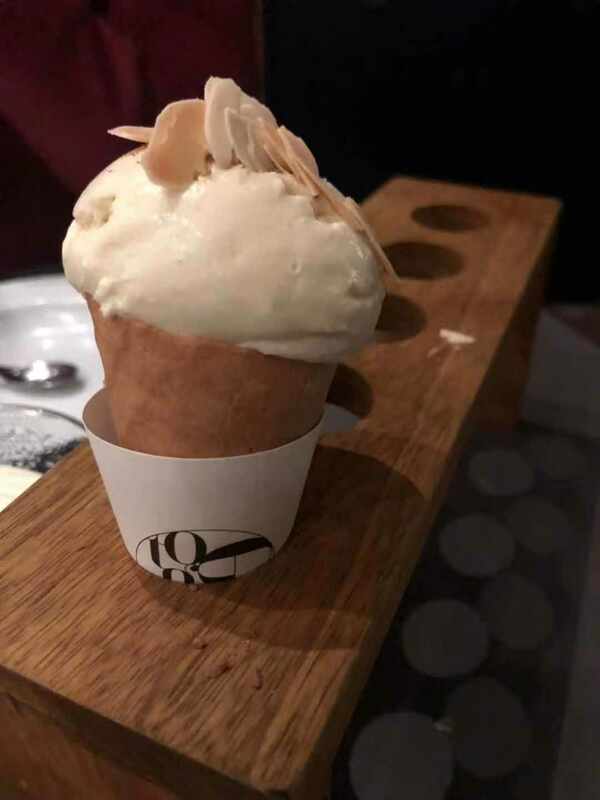 This seems a silly detail but a yummy cone is very important for the entire experience and it is not easy to find a cone that actually tastes like it should and not like paperboard. Two scoops –of course- caramel and stracciatella, made my day. Flavor, yes! Creamy, yes! Finally a good ice cream full of taste. You can tell these are crafted and homemade ice creams and not the industrialized ones like the popular brands you can find in supermarkets or convenience stores. Nothing more to add, just go down there and have a premium gelato. There are two locations of Beef and Liberty. I like the newest one in Xiangyang road but every time I am close to the one in the Shanghai Center I can’t avoid having a burger there. This location is smaller, cozier and quieter. It makes me feel like I am somewhere in the US. The burger: not huge, not small, it has the perfect size. You don't end up full like you can’t speak or walk out the restaurant. I had the cheese burger and my partner in crime the bacon cheese burger. The patty is tasty, juicy and again, perfectly sized. 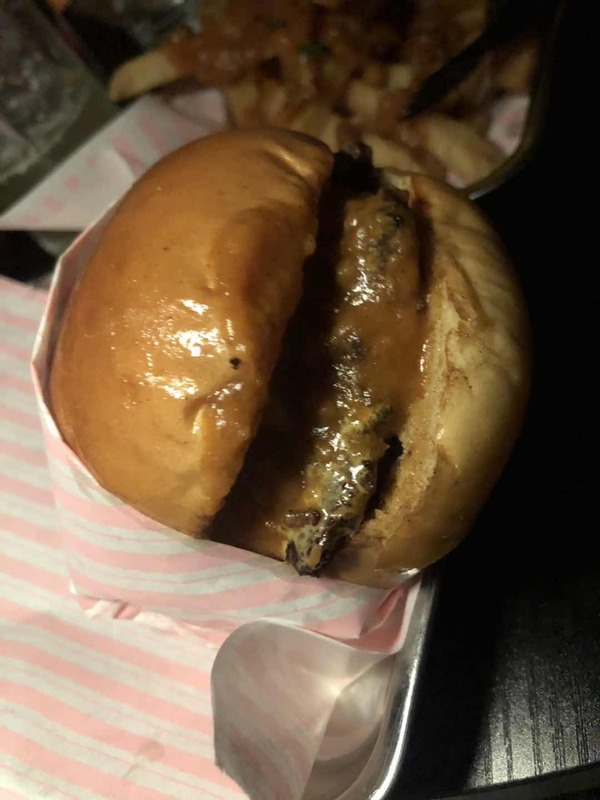 The buns are exquisite and soft - I dislike when the bread gets all threshed and also when you can’t hold the burger and bite it because it’s bigger than your mouth. The bacon is crispy –this is fundamental- and the quality of cheese is exceptional, you can tell by the way it melts. 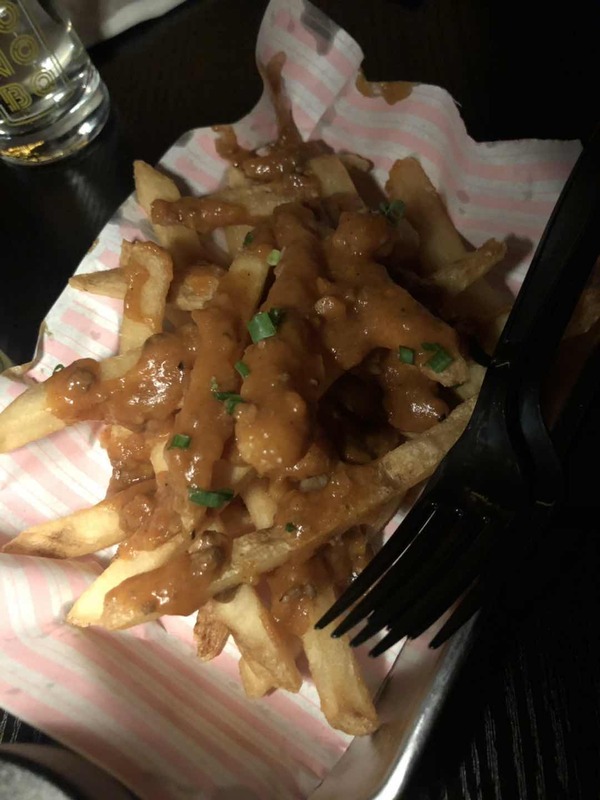 The fries: you can choose to upgrade to sweet potatoes but I am more of an old fashion when it comes to fries so I stick to the classic ones. Crunchy and just enough to cover the portion of potatoes of the day, they are yummy yummy. The staff is courteous and always remembers to ask how you want your meat cooked. Whenever I am craving a burger, undoubtedly I go to Beef and Liberty. If you have the chance to pass by Changle road -between Shaanxi and Maoming- you will definitely smell the attracting aroma of the Japanese skewers on the grill. In the middle of the street and on the right side, you will find the Xuhui branch of Yakitori Fukuchan. It was rumored that it was closed, but luckily for fans like me, it is not! Wooden tiny place, low light, local people, four tables and a menu based on yakitori, you will feel like you were somewhere in Japan. The grill and the kitchen are right there so you can smell the mouthwatering perfume of the skewers the whole time. The place definitely has an old charm and a personality of its own. Cold draft beer, hell yeah! 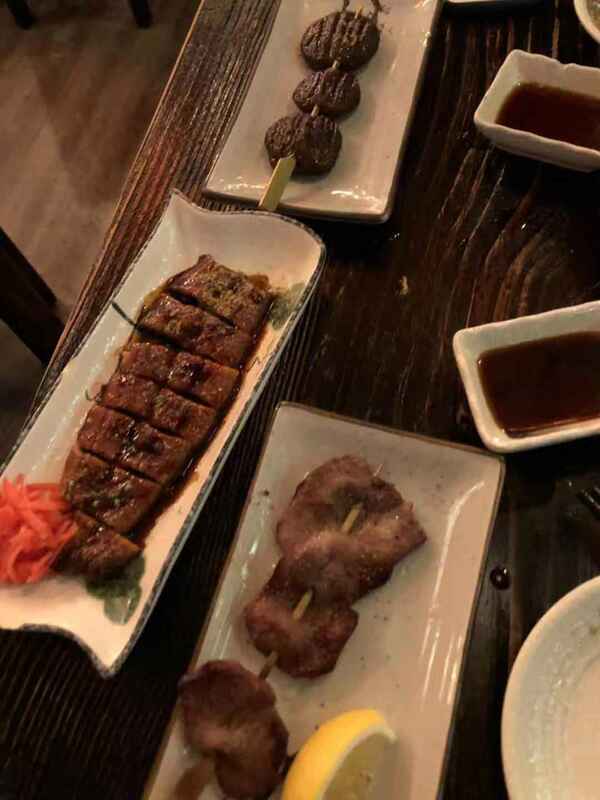 We ordered a mix of skewers: pork, chicken (some salty and some with the house sauce), beef tongue, asparagus and bacon, mushroom, green pepper with pork. We also had rice with veggies and fried senbei (type of Japanese rice cracker). The highlight is the pork and the chicken yakitoris, but all of them are worth a try. 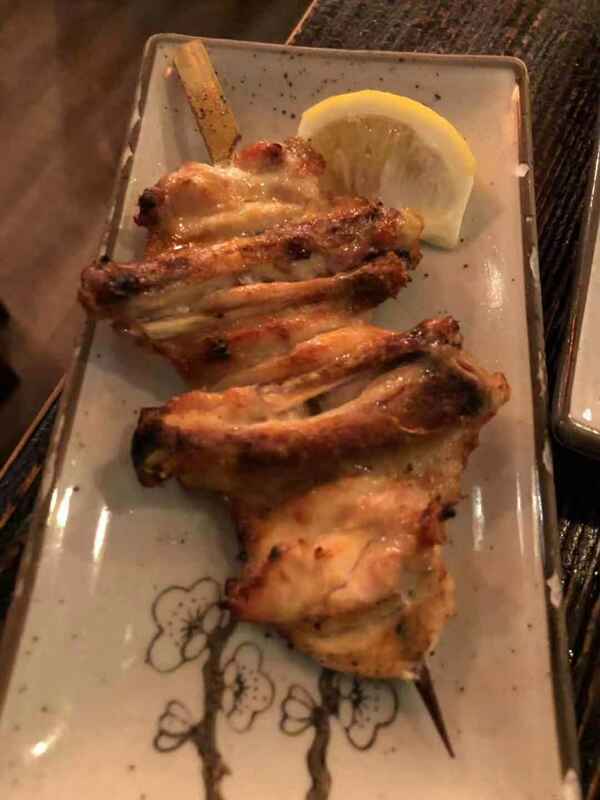 To sum up: one of those places with a mystic vibe where you feel like a local and you always want to come back for a relaxed -not fancy- dinner to have delicious skewers and for a very good price. When it comes to spanish tapas it is hard to find a real tapas bar, as you might find all over Spain. 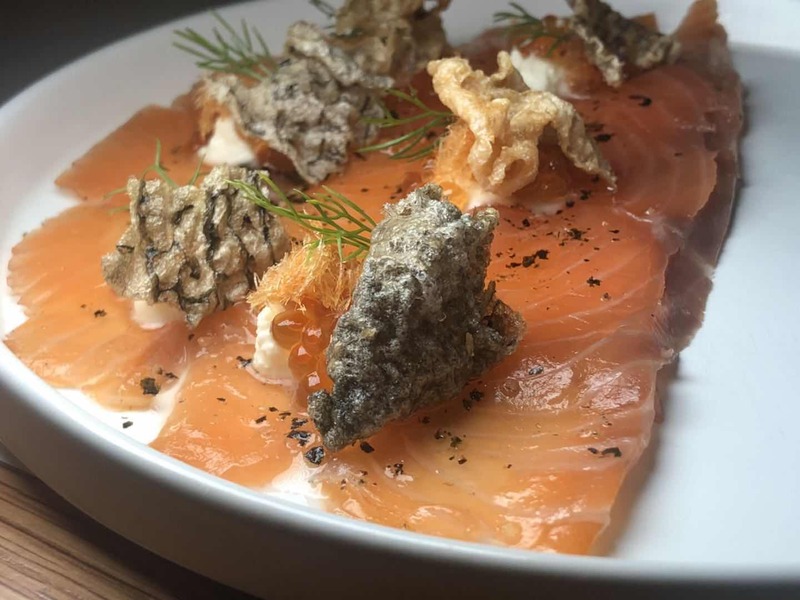 Although Tomatito tapas aren’t strictly like the traditional tapas, their modern swift is worth to try. The place has a welcoming atmosphere, good music and it is decorated like a "cantina" of the 80´s; perfect to go with friends or in an after- office plan. Cold draft beer and sangria are a must. I have to admit the wine menu is varied and with good prices. The food prices are okay as the size of a tapa. 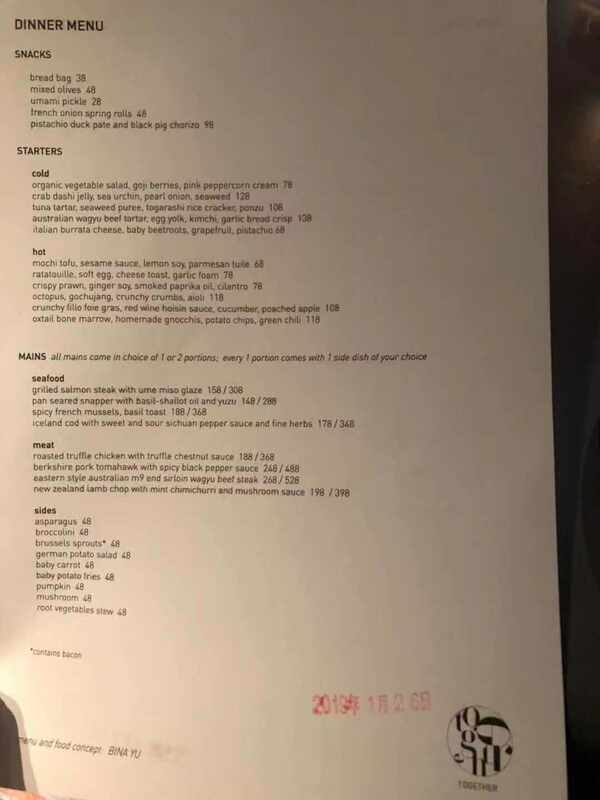 The idea is to order a few different dishes and get a bite of everything. We were three and we had 6 dishes plus a dessert to share. 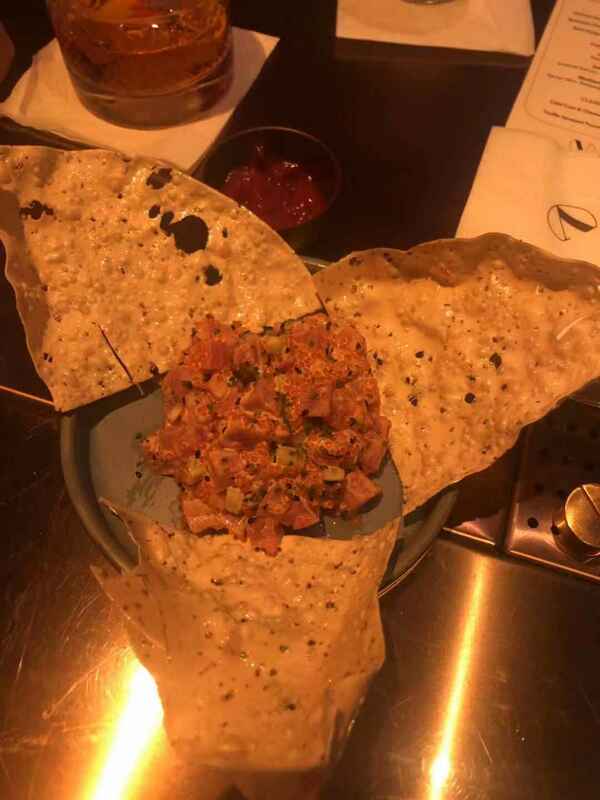 The one I strongly recommend is the “Salmon TNT 2.0”, which consists in a small airy pastry filled with spicy and limey sour cream –which they called mojito blush in the menu- topped with smoked salmon and salmon eggs. I suggest to eat it in one bite if you can. It is a truly knock of flavors! We also had “huevos rotos” with txistorra (broken eggs, potato and spanish chorizo), croquetas, meatballs in tomato sauce, tortilla and “filete con airbag”. 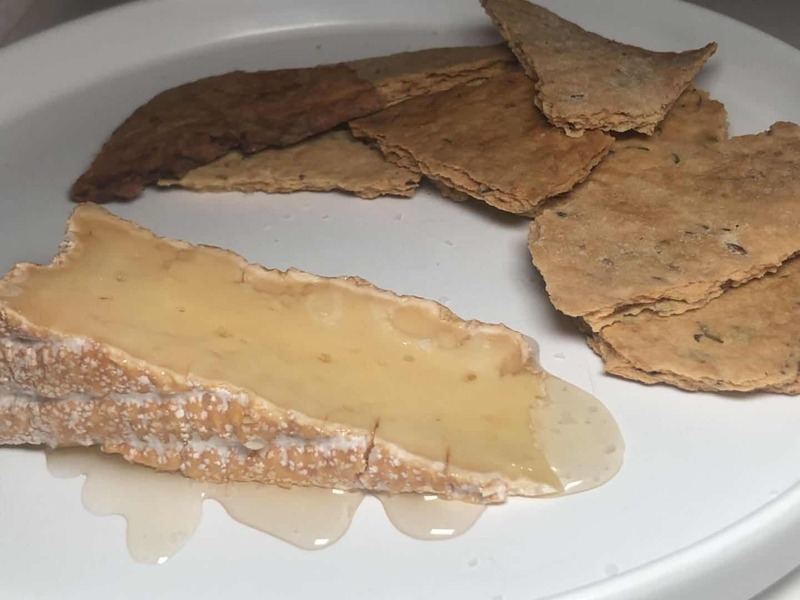 The last one is an “air baguette” stuffed with cheese covered with a slice of steak, it is very tasty but the presentation needs some work on because the steak looks like someone accidentally dropped over it. The meatballs and the huevos rotos were excellent, the croquetas and tortilla average. The service is fast and staff gentle enough. 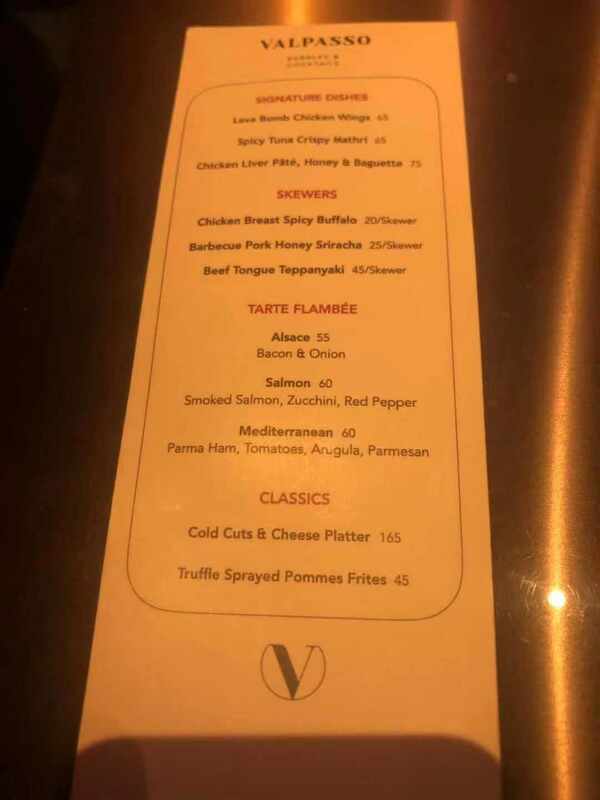 To sum up, I would say it is like a casual and comfy spot to gather with friends for some refined tapas -and drinks- at a very affordable price. Still with my family in town we wanted to have some good italian dinner. 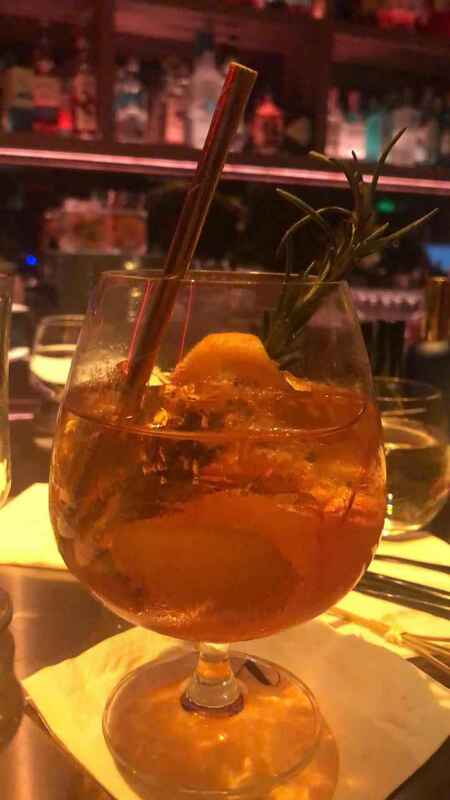 I decided for Goodfellas since in my opinion it is the most authentic Italian restaurant in Shanghai. Tight, cozy and stylish venue located in the bund but isolated enough to have your own private dinner far from the crowds. You have to book to get a table. If you are around the bund and you jump in, it is always full. We made the reservation for 7.30pm and our table was ready. A very remarkable detail of Goodfellas is their wide sense of courtesy and compliments to the guests. This is an aspect not easy to find around in the gastronomic world. For example, for welcoming they will serve you a prosecco glass. Later, different sorts of recently baked warm breads, like focaccia stlye and others filled with tomato or onion, and also marinated tomato and cucumber bruschettas. In the end, you will get dark chocolate truffles and almond cookies as well. And, guess what? All this as compliments. Isn’t this smart? Absolutely. Not only everything is homemade -and free, but also is a way of keeping the clienteles pleased having extra “items” they won’t expect. I find it amazing. Our waitress was Chinese but spoke perfect english –which was so relaxing for us, but the most notable aspect was her excellent knowledge and dedication of the service. She was delicate, changed cutlery, filled up the glasses, smiley all the time and even managed to adapt one dish to our requirements. Definitely this made our dinning experience very enjoyable. First we went trough the routine of wine and sparkling water as usual and then we started by sharing a burrata with parma ham. Finally a burrata that tastes like actual burrata! After that, we chose caprese gnocchi, fetuccini with seafood sauce, truffle risotto and mushroom truffle ravioli. Don't ask me how, but I managed to try all of the dishes. All of them were spectacular with no exception. The key is the Italian chef in the kitchen and the use of high quality ingredients, with both factors nothing can go wrong. Sorry guys we didn't make it to desserts this time. Delicious food, gentle staff and efficient service. Bund prices but not as high as if you seat in a restaurant with a first row bund view. I entirely recommend it and if you are up for some after-office drinks before, I would suggest stepping firstly to the Fellas Terrace in the 7th floor next door while waiting for your table and get a skyline sightseeing. Le Saleya, a nice patio but not enough. In the mood for enjoyable terraces around the city we end up in Le Saleya, a French bistro in the Former French Concession. We choose to seat outdoors honoring the beautiful night under the stars. To be fair, their patio is cozy and pretty well maintained. There were only two more tables -that should have been a signal of the upcoming fiasco. The service was fast and the waitress very kind. Those were the positive points. Now lets go to the F&B terrain. First, we ordered a bottle of wine, a chardonnay (in the end there were two bottles, 780 rmb total). The wine menu is varied but pricey. 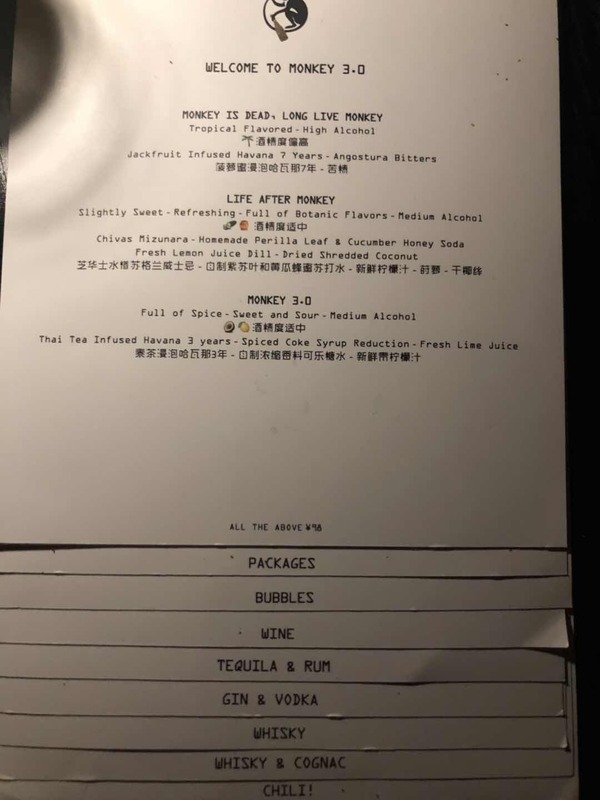 The cheapest wine for 390rmb doesn’t really match the target of the place and honestly, there are excellent wines for fewer prices than that, it is not necessary to put expensive wines –but still average ones- to pretend to be fancier. After that, while we were deciding what to have for main, there was this funniest thing ever. 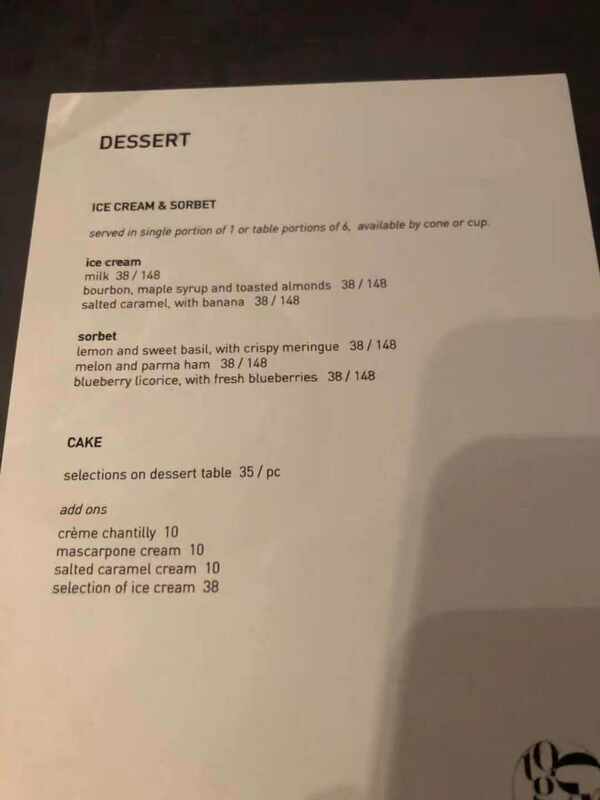 The waitress told us to order the dessert together with the main because the chef needs an hour to prepare it – an hour!!?? I thought it was a joke but I asked again if we could order the dessert later since I didn’t know if I was going to be hungry at the end of the dinner and in a mood for a dessert, and she said there were only 2 options available for ordering at the end of the diner. Second signal we missed. Lets keep going. We started with a tuna beetroot tartar. 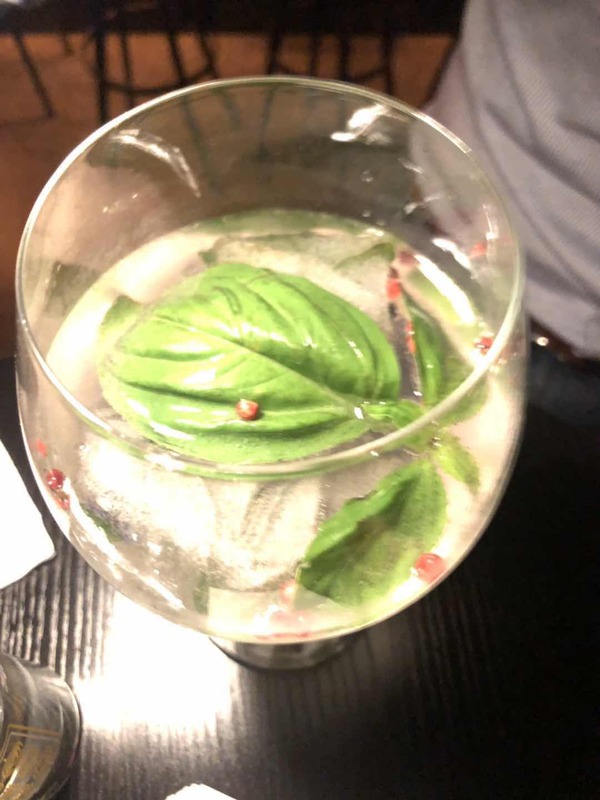 When it arrived to the table I thought it was a dessert. It was like mousse of beetroot and barely any tuna. Tasteless and just for the WeChat moment’s picture, we decided to jump to the mains. 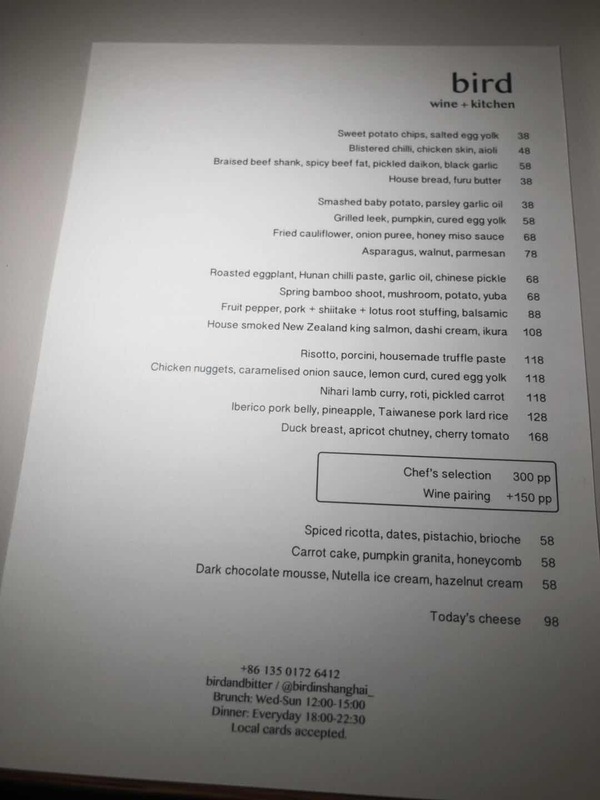 We had two-lamb confit with eggplant and goat cheese (180 rmb each), one lamb rolled with goat cheese and mint (205 rmb) and one crispy beef checks with fresh herbs (185rmb). 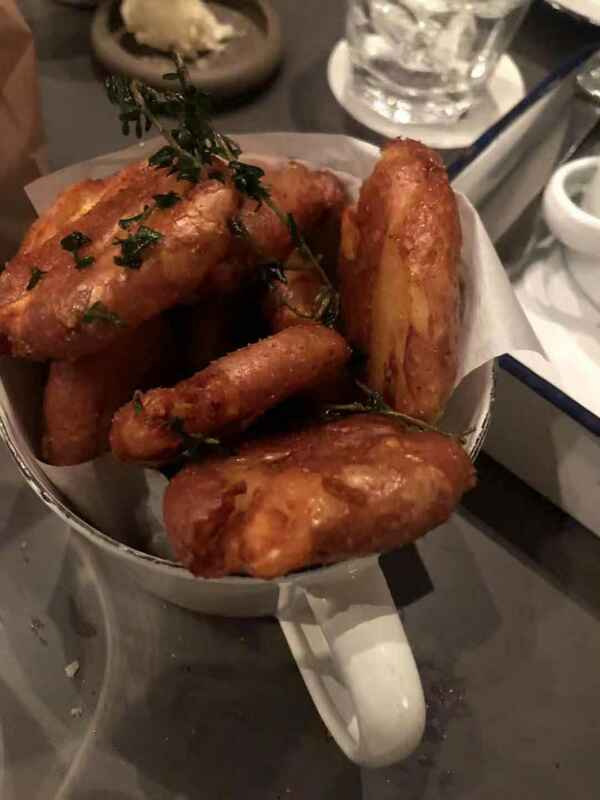 Another poor detail is that all the mains even tough are highly priced, they don’t come together with a garnish, so we ordered baked potatoes on the side to share. The lamb confit with eggplant was a sort of puree. I don’t know if they mixed it in the blender or what but seemed like food for babies. There was no goat cheese at all but there was a surprise ingredient: coriander. And, here is another big problem. Not everyone is a big fan of coriander, such an invasive –in the good way- ingredient! Why would you add something like that without specifying it in the menu? 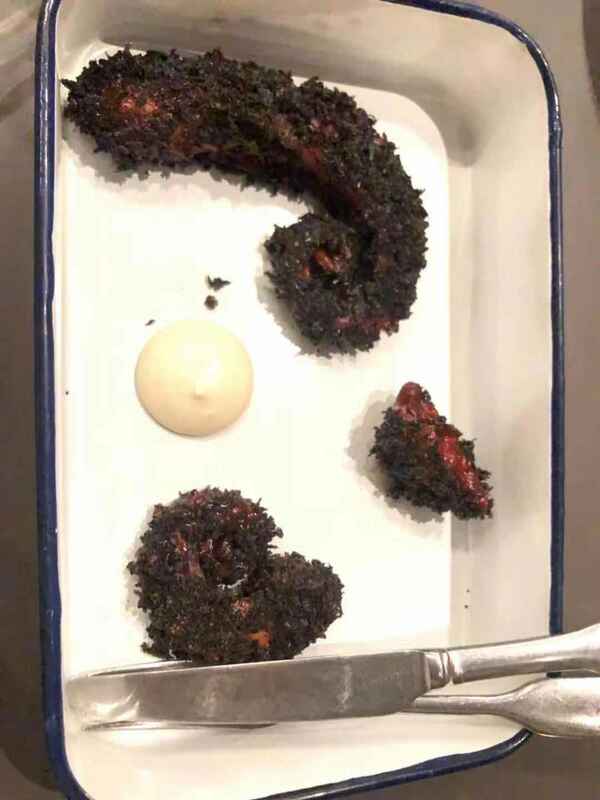 I wouldn’t have ordered it for example – not with lamb at all. 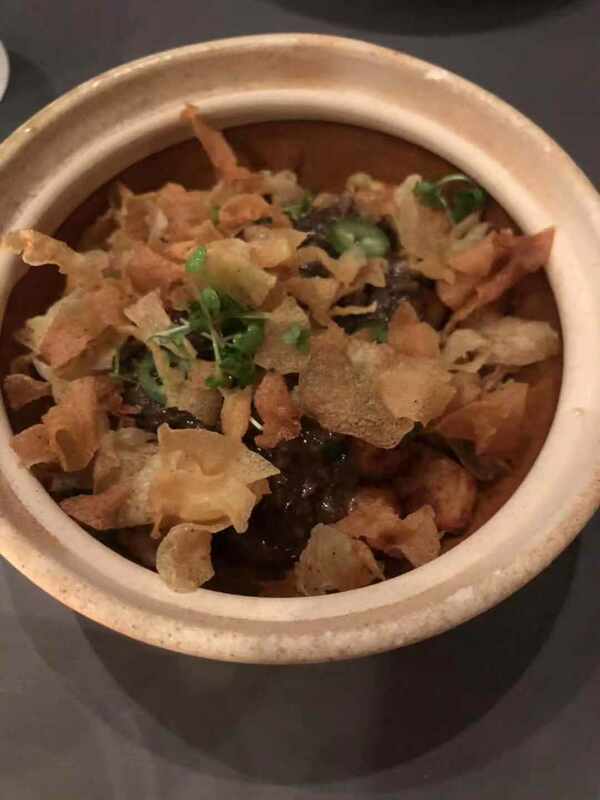 The crispy beef cheeks weren’t crispy at all and the presentation of the dish was like a mountain of grass, which was supposed to be the fresh herbs. It was full of “herbs” and the cheeks got lost in the forest I guess. Last but not least, the lamb roll. The goat cheese was definitely old, acidic and sour, tasted more like an old ricotta that a goat cheese. The mint was nowhere to be seen and the meat was rubbery. I guess that I don’t need to explain why we didn’t get to the desserts. After finishing the second bottle of wine, and having to pay the sum of 1,949 RMB, this is where the fiasco ended. Highly overpriced for no quality, size or presentation of the dishes. I haven’t had a fiasco in a long time. 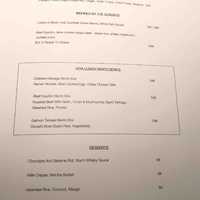 The food menu is not varied (three lamb and goat dishes for example) and the wine menu is pretentious. In fact, dedication –or love for cooking- and quality ingredients in the kitchen are indispensable to achieve a high end product. This was not the case. 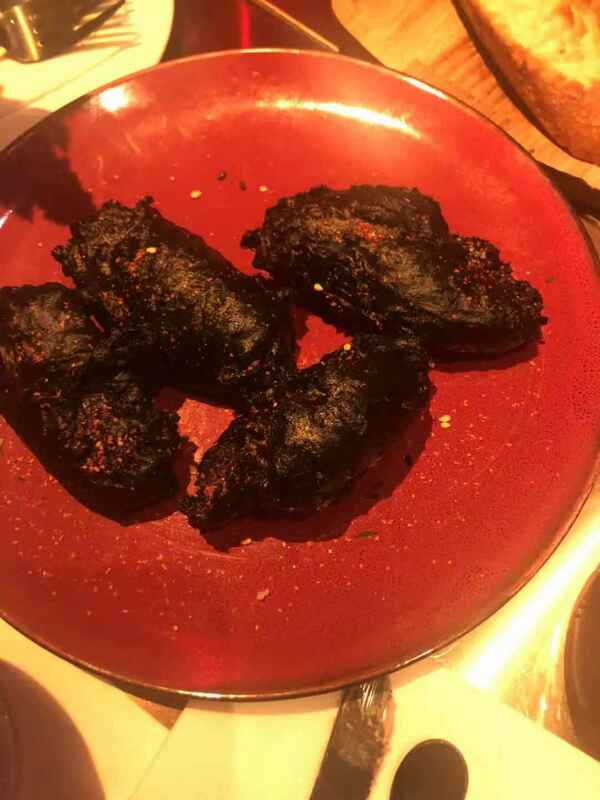 It is a pity for that beautiful patio but the lack of commensals and the quality of the food served indicates that something is going wrong at Le Saleya. Colca brings Peru to Shanghai, highly recommended to visit. Fully enjoying the amazing autumn nights we decided to head for a good terrace in the city. Colca not only has a beautiful open outdoor space, but also in my opinion it is the only Peruvian restaurant -with some Spanish twists- that serves authentic and real food with delicate ingredients as you may eat if you go to Peru. Very respectful of the culinary traditions but bringing a sprinkle of modernity to the dishes, I can say the approach is very well achieved. The place is harmoniously decorated; it is very spacious with a fancy but also autochthonous vibe. You can enjoy dinning inside or outside and they have a very varied cocktail bar as well to enjoy a good pisco. As many places around the city, if you don’t speak chinese the attention is hard to handle until the English speaking manager (also Spanish in this case) appears and makes you enjoy a relaxed dinner. But once again, we are in a non-speaking country so we can’t blame them about that. This time I went with my parents who are visiting for the golden week and my partner in crime, four in total. First of all, I really have to highlight that they took care of my mother’s special dietary restriction and quickly adapted to her problem preparing a dish that wasn’t in the menu at all. Being an expat in China, I can say that this is really hard to find. So chapeau for Colca! Another point goes to the bread zest they serve right away you seat. This is very common in other countries like Italy or South America but not in China. I was missing the beautiful breadbaskets so much that this took me back to a dinner at my home country. 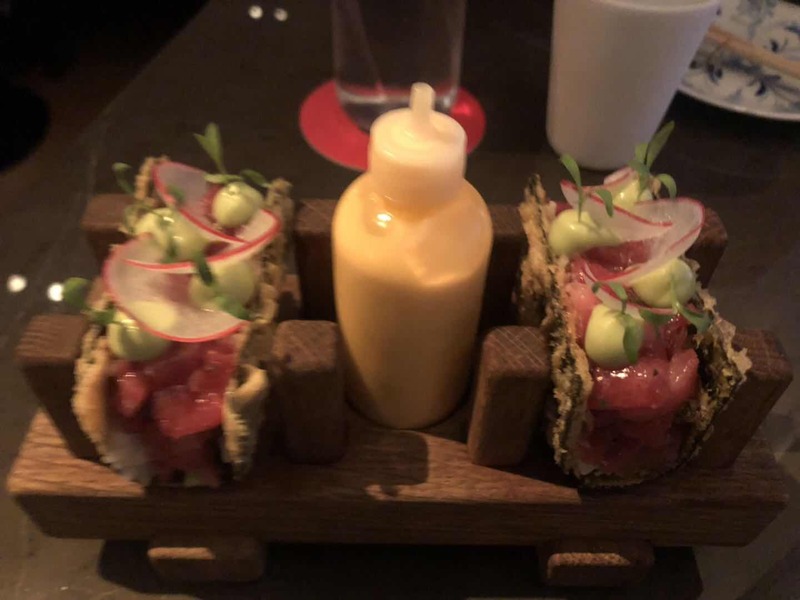 The three left had a tuna tiradito to start, which has a good size for being an entrée and it was perfectly achieved. This dish consists of sashimi pieces of raw fish – tuna in this case- with a spicy - acidic sauce and avocado pieces. Then we had two-octopus brasa and one tuna steak adobo. Definitely all the dishes were tasty and balanced. The tuna steak was delicious, served together with a spicy adobo and vegetables in a sofrito style. The octopus was tender and perfectly grilled (there is nothing worse than a rubbery or hard octopus) with a base of a potato causa, black olives, alioli and chimichurri. We missed the ceviche this time which is also very good, if you go for the first time, it is absolutely a must-try. Finally, guess what? We made it to the desserts! And not any dessert… it was the best flan I have tried in China so far! Also we had the chocolate mousse that was delicious as well. Suitable for any occasions like dates, casual gathering with friends or special parties. It`s not cheap but not expensive either, with a budget between 200-300rmb per person you can enjoy an amazing dinner. Totally worth it. Latin Woo, full of Sabor Latino! Arriving to the venue while the wellcome music that was sounding was salsa and merengue definitely transported me to Latin America. The ambient and decoration is very accurate as well. Additionally, you have the plus of being next to the pool, the masterpiece of the newly developed Columbia Circle. Once again with my partner in crime, he head there for a late lunch around 3 pm (yes, we have issues regarding eating at a “regular” time). We order lemonade that was superb. The precise amount of lemon and sugar to get the balance was absolutely perfect. Actually we order one more because we couldn’t stop drinking! I was so surprised since I haven’t had good lemonade in a long time. And you will think, why are you writing so much about a lemonade? Ok, here is the explanation: as I always say, the easiest and simplest sometimes is the hardest to achieve in the culinary world. Even the simplest dishes or drinks require the same passion as the most complicated ones... you may think lemonade is very easy to make. Wrong. A good lemonade requires balance and love. Let’s keep going. The menu includes all the important ingredients that a Latin menu must have: beans, pork, empanadas, salsa, chipotle, guacamole, corn, potatoes, chorizo, milanesa, and so on. We ordered 2 full sandwiches. I really like the option you can choose to either have “half portion” or “full portion”, because you get to taste different things. Our choices were El Cubano and Cemitas in the full version and half Medianoche. The Cubano was amazing, super tasty with the acidity of the mustard and pickles, the softness of the cheese and the tenderness of the pork. The Medianoche was also so yummy with the mortadella, cheese and the croqueta! Nevertheless, the star sandwich for us – unanimous verdict this time- was the Cemitas. Taking into account my roots, I can’t avoid ordering something that has milanesa (fried breaded beef, like a beef schnitzel instead of pork). Between burger buns, the milanesa is impeccably accompanied by caramelized onions, french fries (yes! French fries inside! Insanely lovely! ), ham, avocado and melted cheese. You would say “all that in a single sandwich”? Messy? Yes, beautifully messy, and so well chosen to be together in that bun of love... I got romantic I know, but it was soooo good, trust me! Stepping to the service evaluation, it was good but after the manager took over our order since the first waiter that approached us was really nervous -and we tried to order in Chinese but still. I don’t blame it though; we are in a non-English speaking country. Prices are reasonable, the place is very clean and the atmosphere is animated. Totally value to go and have some Latin flavors! Pasha's makeover, totally worth it. I couldn’t wait to go to Pasha´s new location exactly in front of the older one. To be fair, the new place is much bigger and sophisticated, but the previous venue was “one of those cozy places” you always want to come back. Every time I visited it made me feel like I was having a meal at some friend’s house. 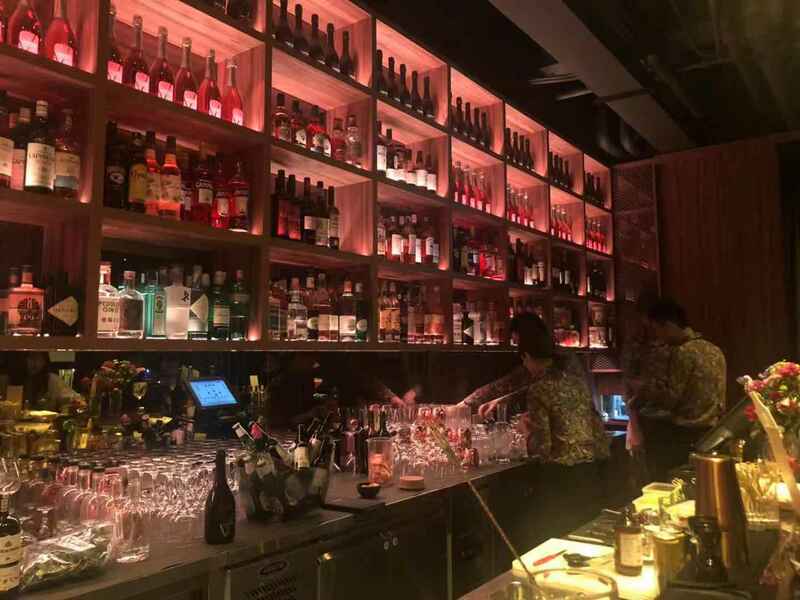 Located in Nanchang road, it is not a place where you will frequently go since it is not situated in a dining hub like others around the city. However, if you are into Turkish food, you definitely know what I am talking about. The menu is very complete and you have a wide variety of starters and mains to choose. The dessert part is not that extensive but is pretty interesting as well. I went with my husband after a theater play we had at the Shanghai Culture Square in Fuxing lu and Shanxi lu. Actually the plan turned out to be really convenient since Pasha is a 2 minutes’ walk from the Theater and their last order is at 10.30 pm – is quite hard to find this late night cravings around the city. The new place is quite different regarding distribution. 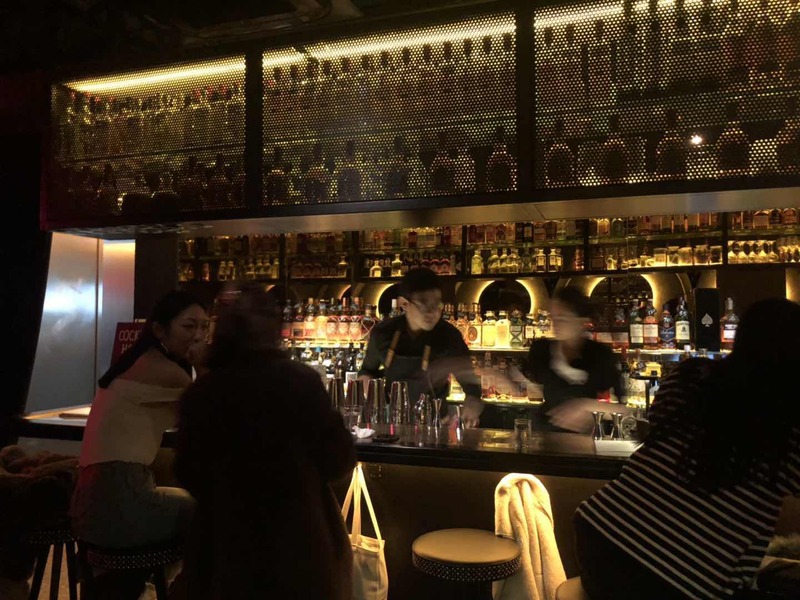 In the first floor they set a more relaxed atmosphere with a bar and some seats to grab a first drink and get into a chill mood while waiting for your friends. Later, you go up to the second floor for a seated dinner. Straightly talking about the food, Pasha never disappoints. We started with a delicious homemade “Muhammara” (mix of walnuts, olive oil, red pepper paste, pomegranate sauce and spices) and a “Lahmacun”. The last one consists of Turkish flat bread topped with minced lamb meat, tomatoes and onions and it is one of my favorites, the taste is balanced and the bread crispy, as it is oven made. For main dish, we decided to go for a new dish we haven’t tried before: the “Beyti Kebabi” to share. Best decision ever! This dish was full of cooking love itself! It combines the best of Turkish cuisine in one dish and in such a well-adjusted way: minced meat skewer baked in the oven with cheese, rolled in lavash bread with a glorious sauce of yoghurt, tomato and pistachios. We didn't get to the dessert but I highly recommend trying the baklava. Overall, the service was really good, the waitresses are very kind, the food service was in time and the relation price-quality is perfect. 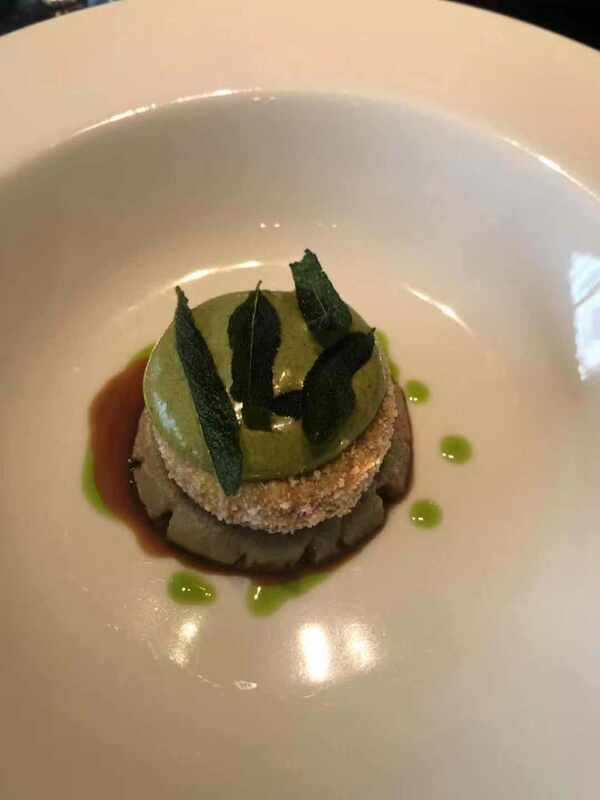 I feared that changing the venue would also mean a change in the homemade style and quality ingredients of the food; I was totally wrong since we had an enjoyable dining experience! I will definitely come back and I totally recommend it. A China expat since 2011, David moved to Shanghai for work in 2014. So far, his quest for memorable food has taken him to 22 different Chinese provinces and territories. When not actively hunting for delicious morsels around town, he is a director at a clean energy strategy consulting firm in Shanghai.